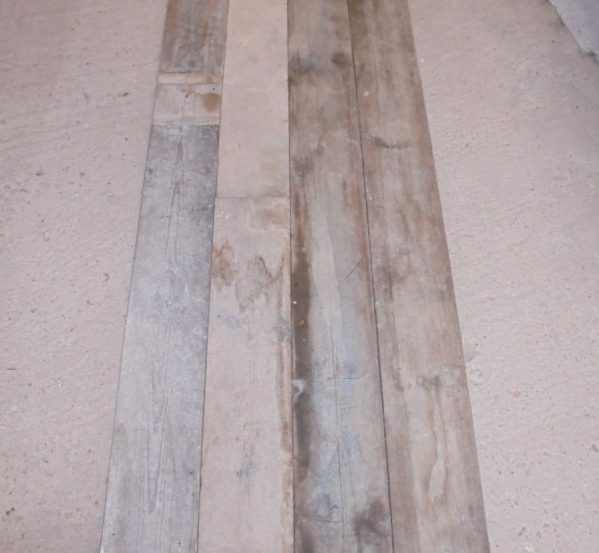 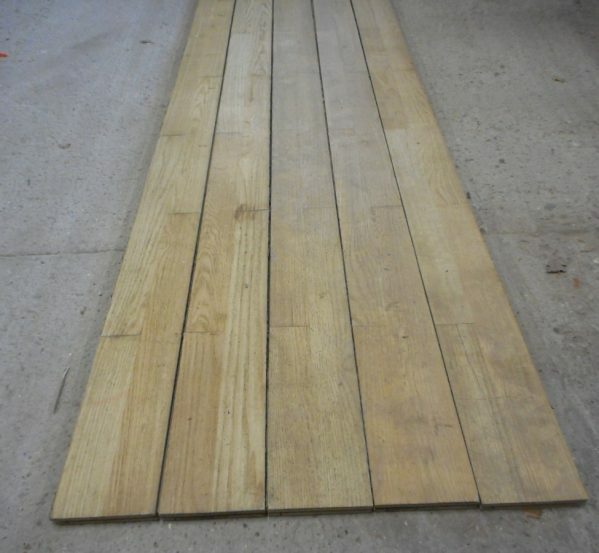 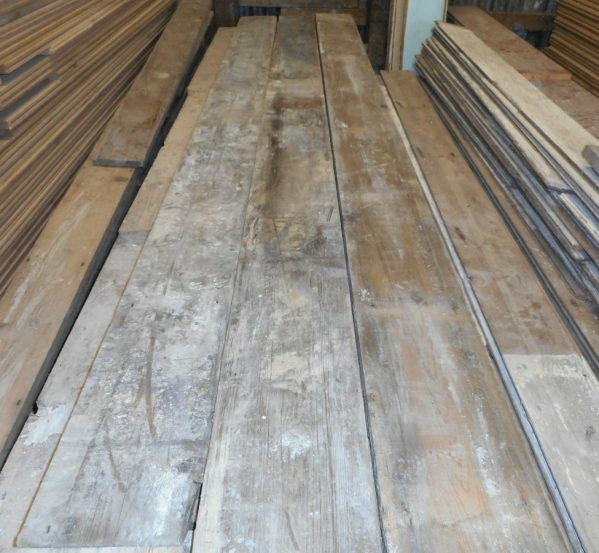 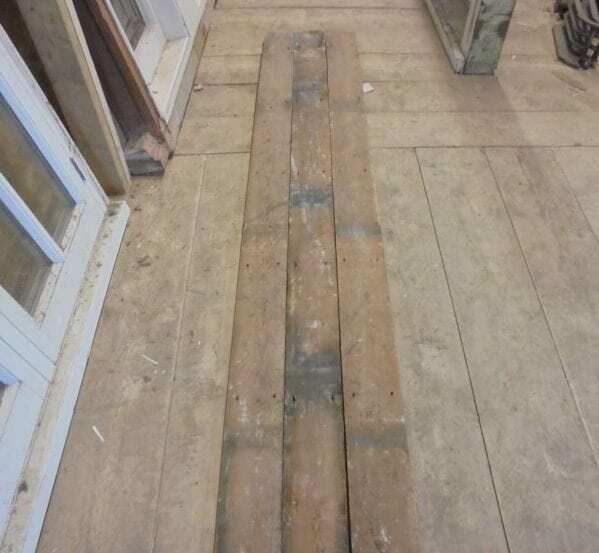 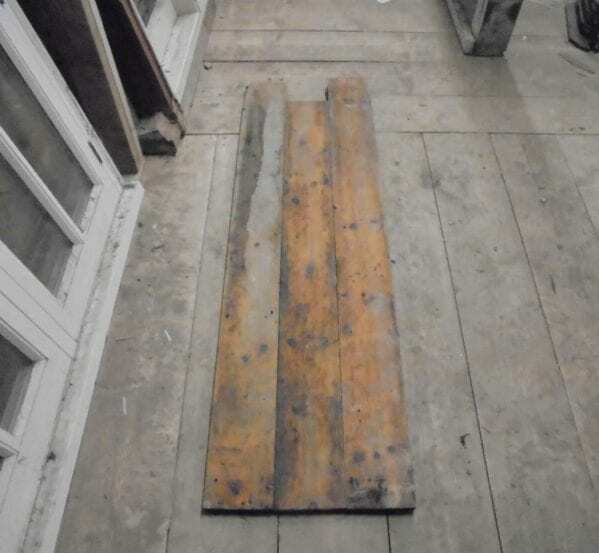 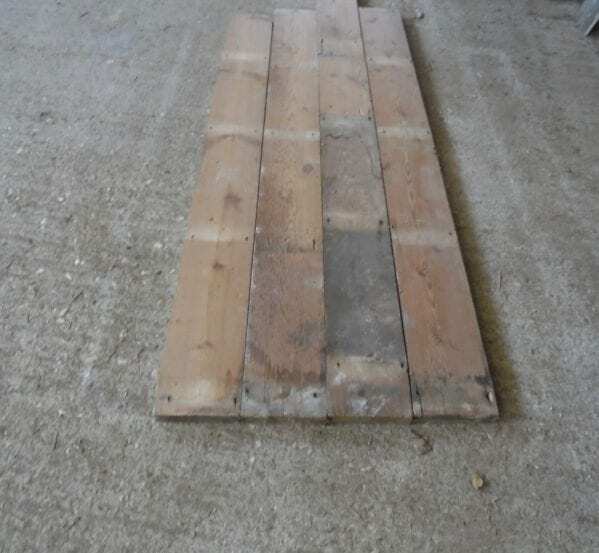 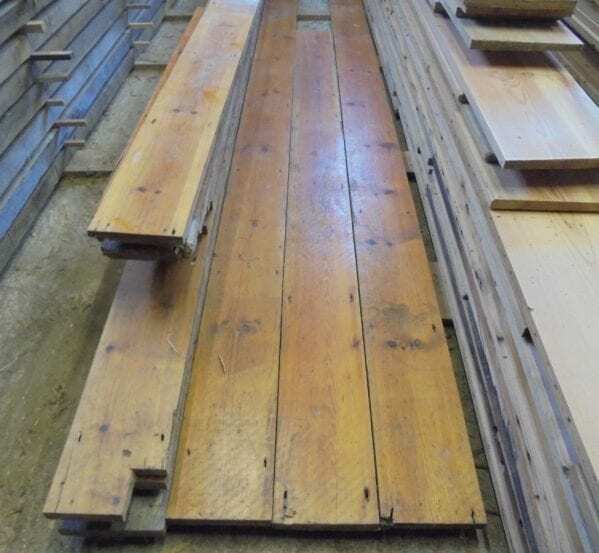 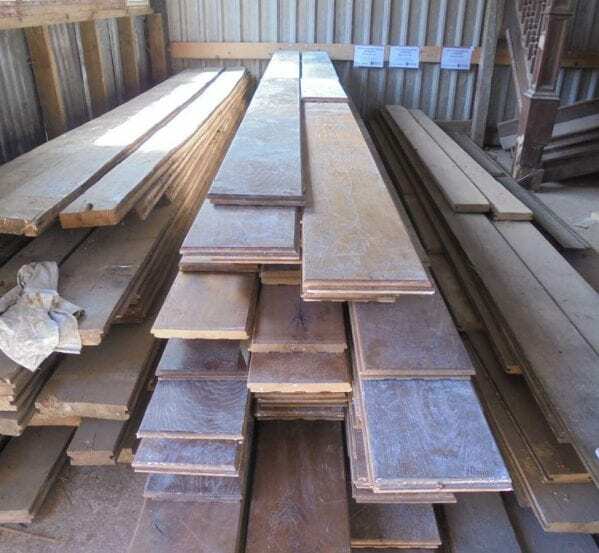 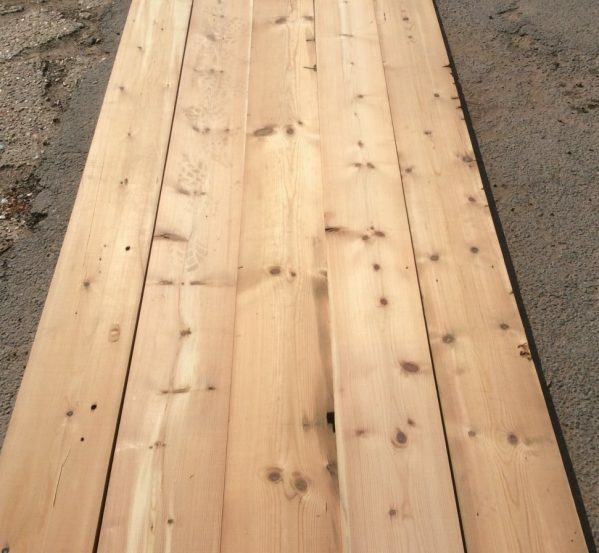 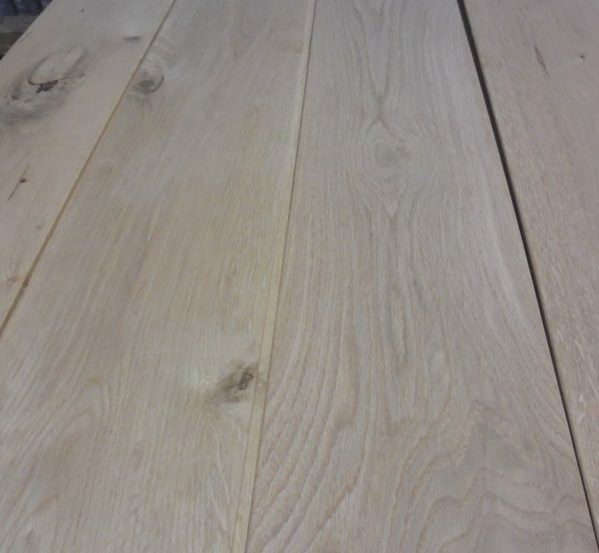 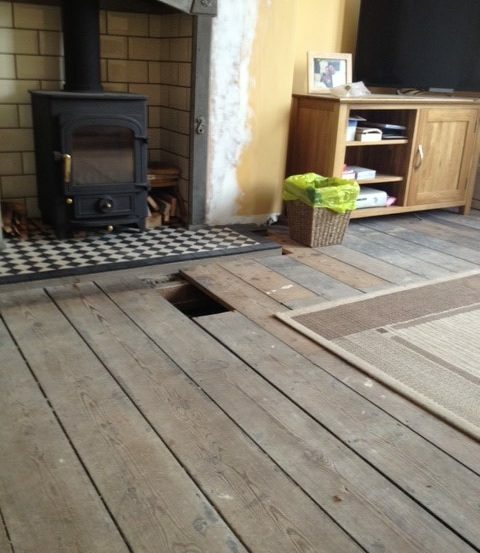 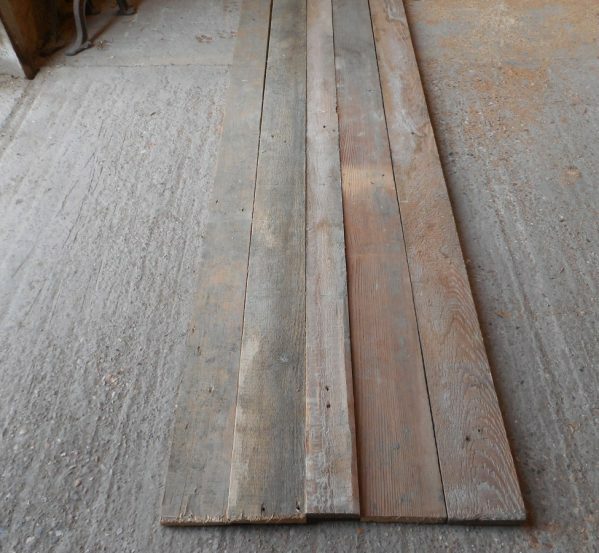 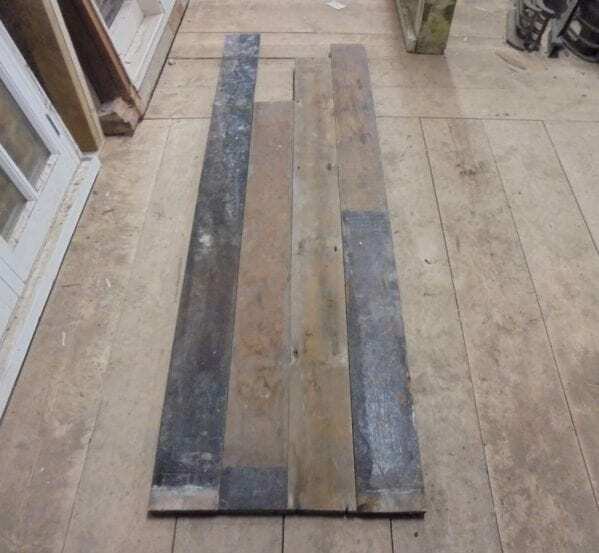 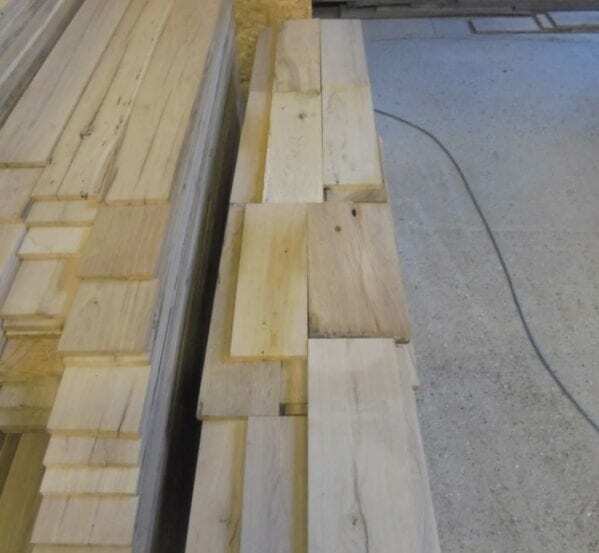 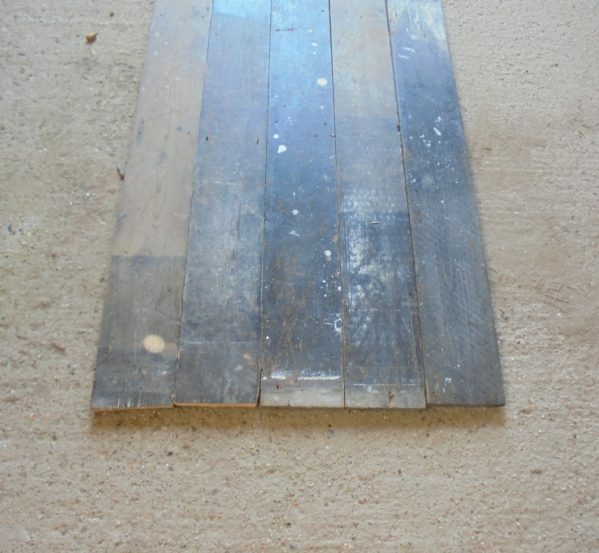 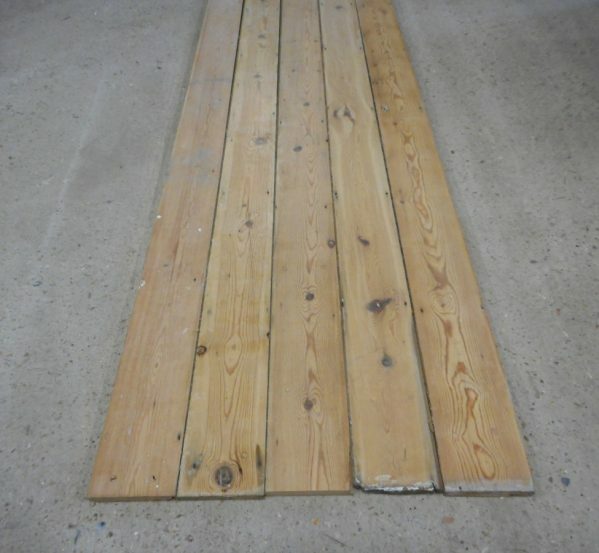 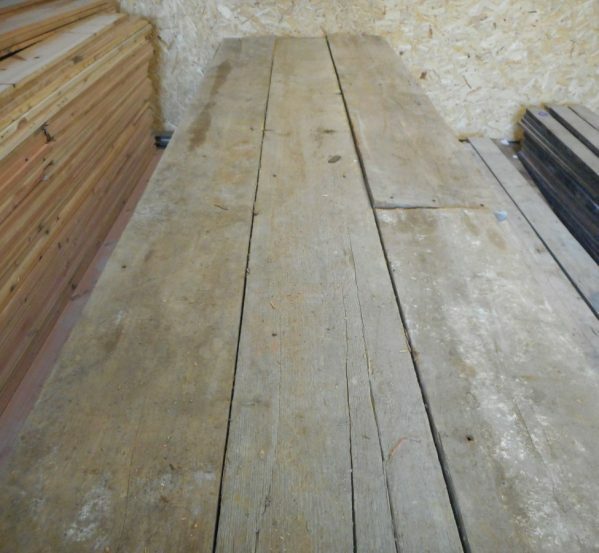 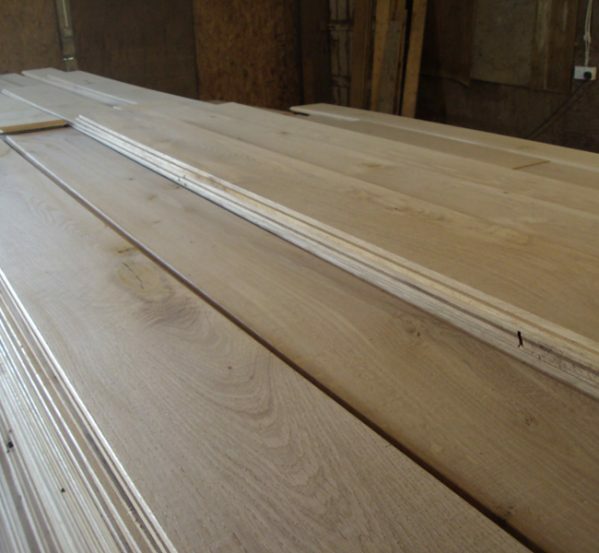 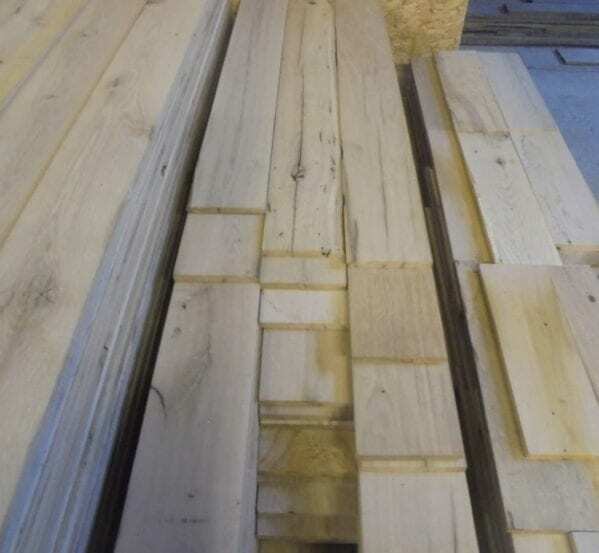 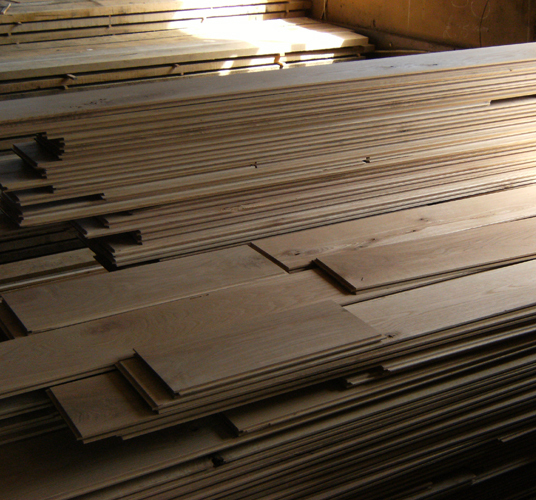 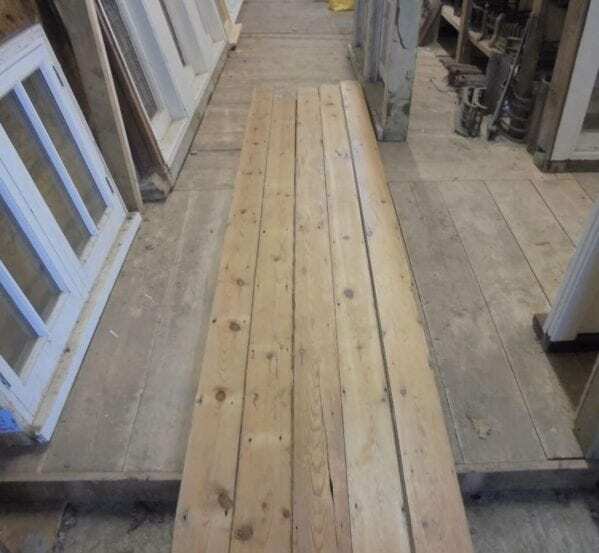 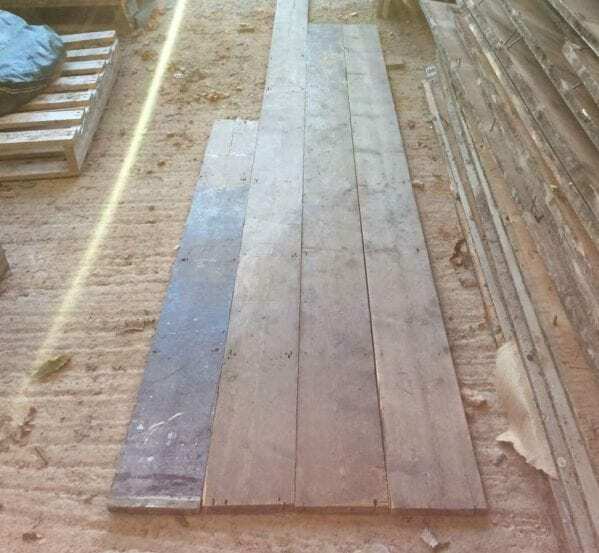 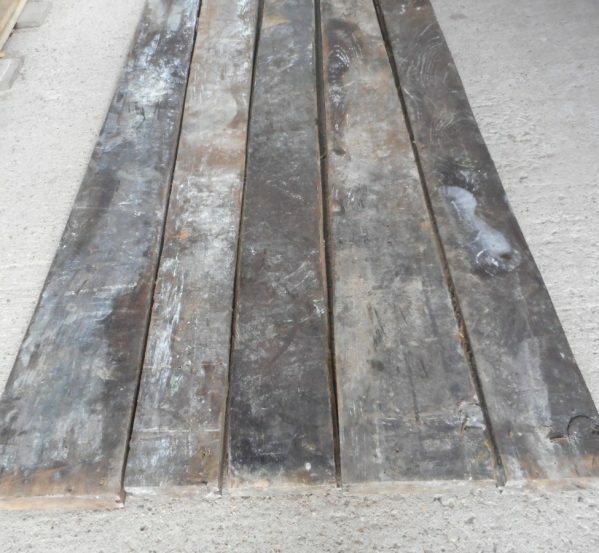 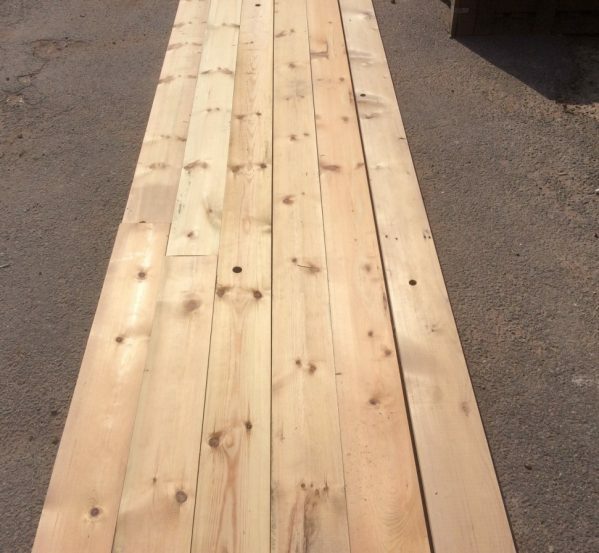 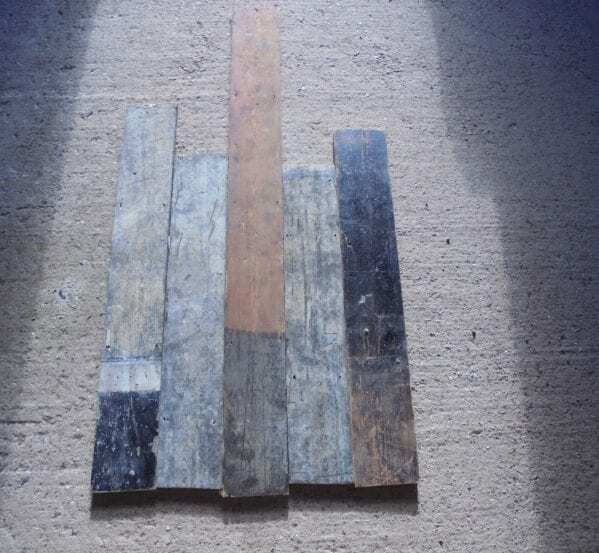 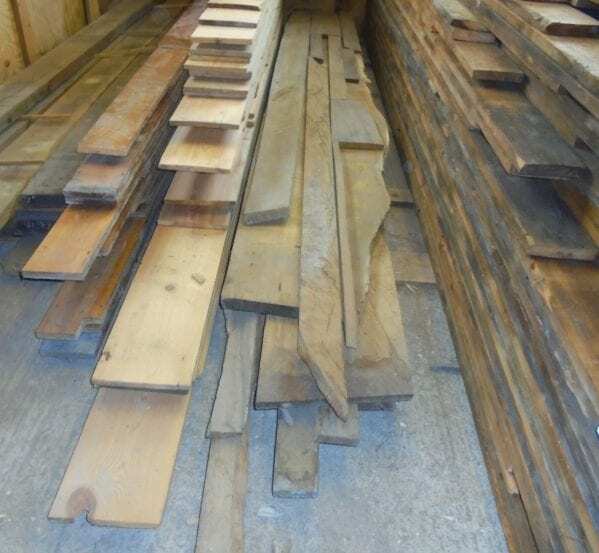 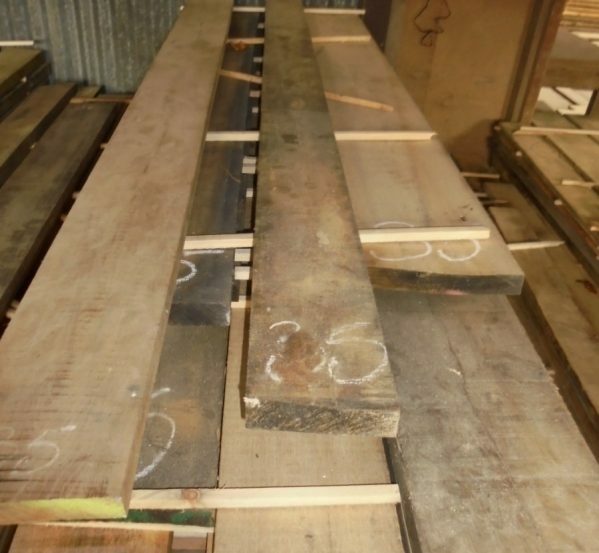 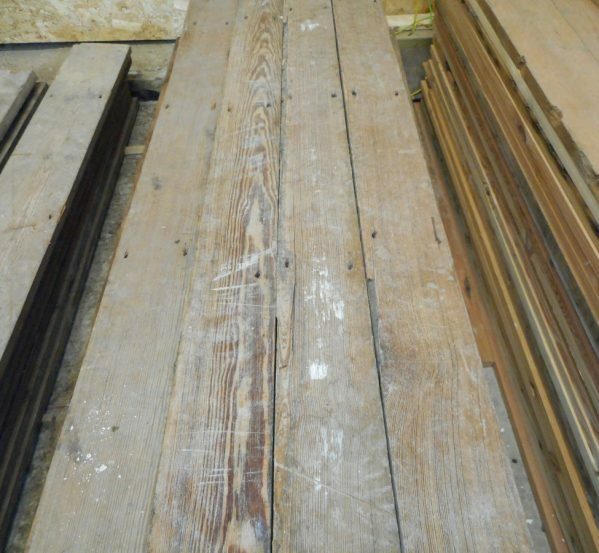 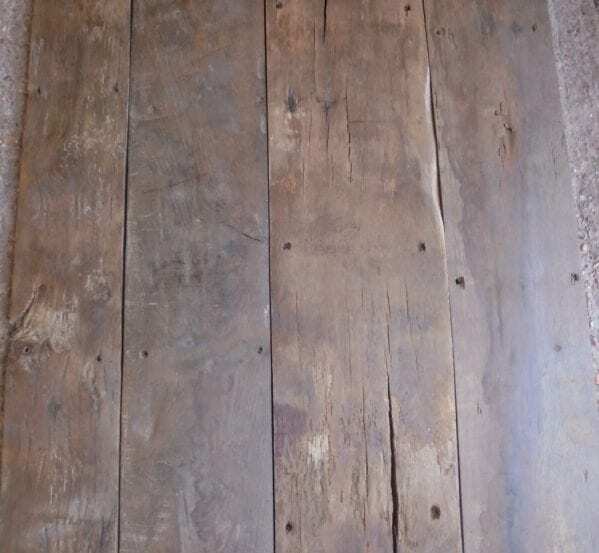 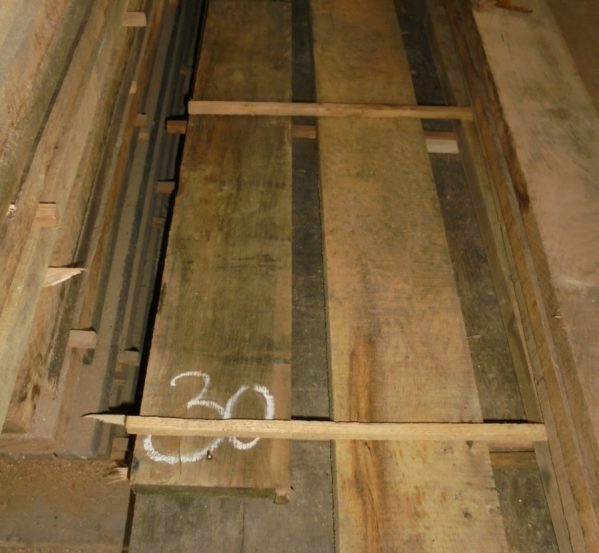 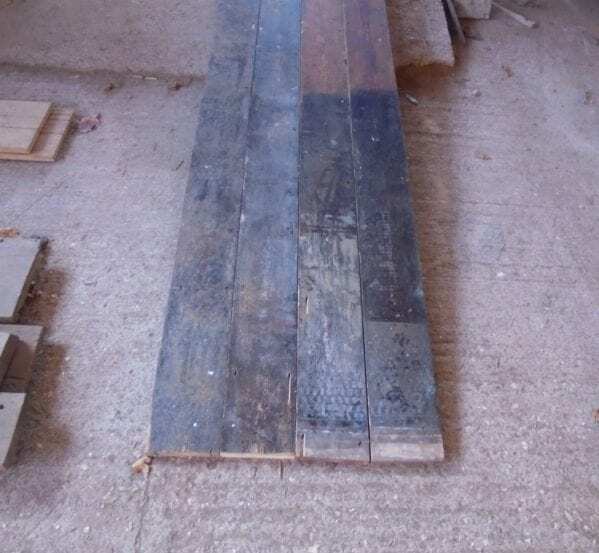 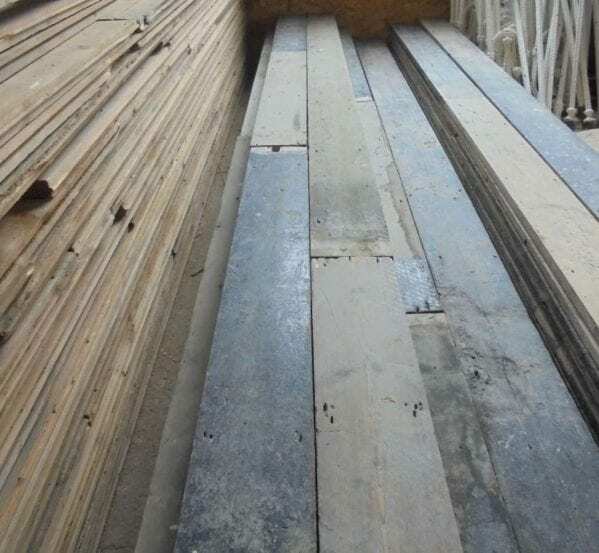 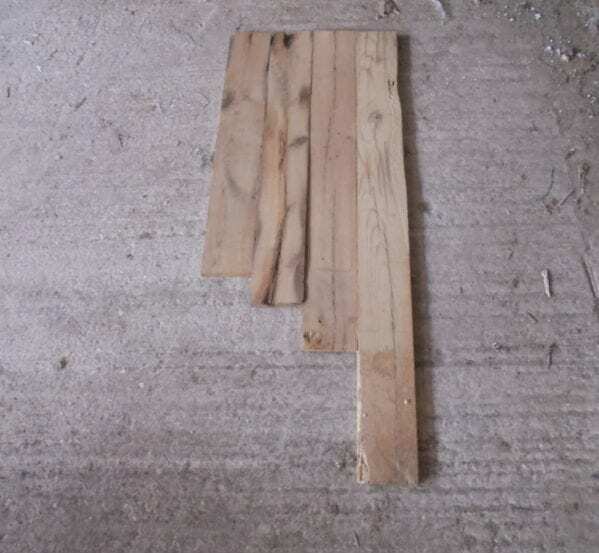 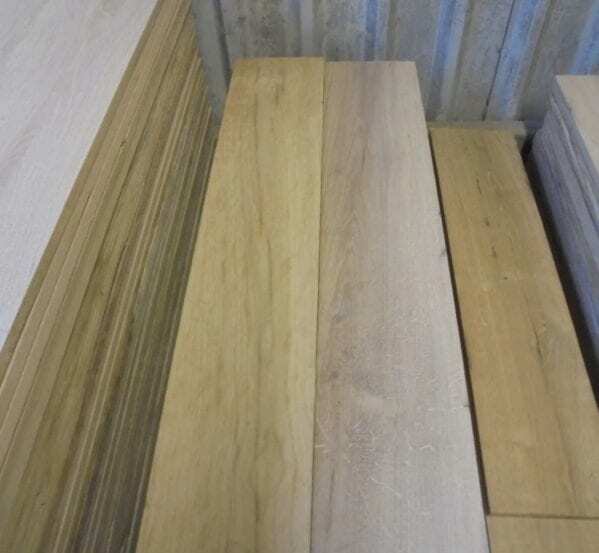 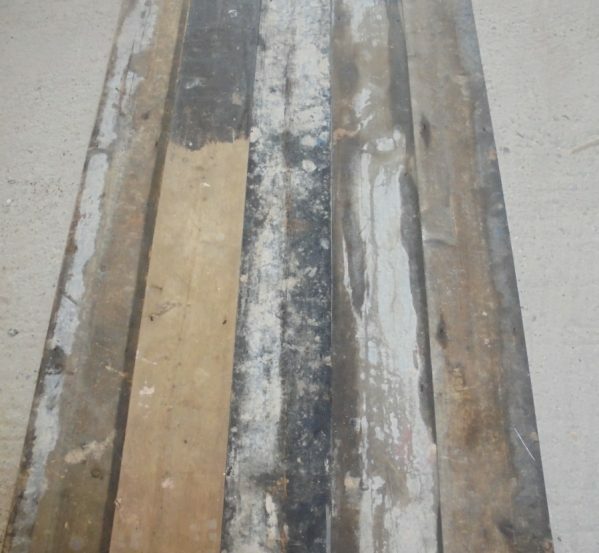 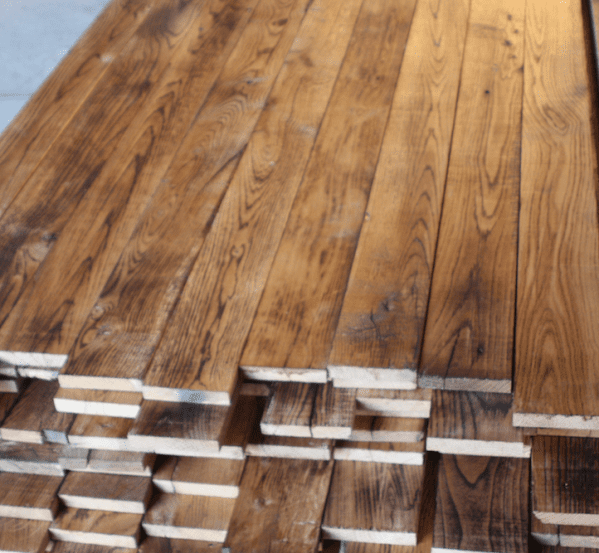 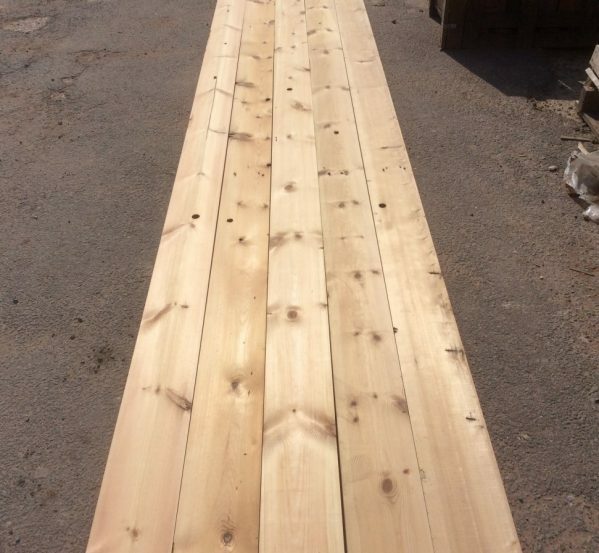 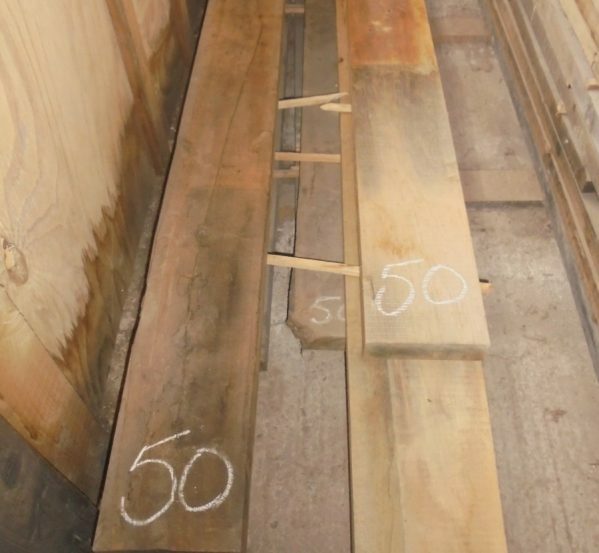 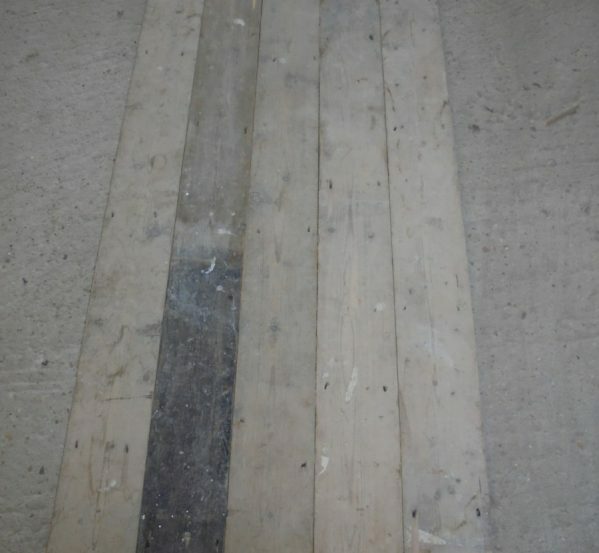 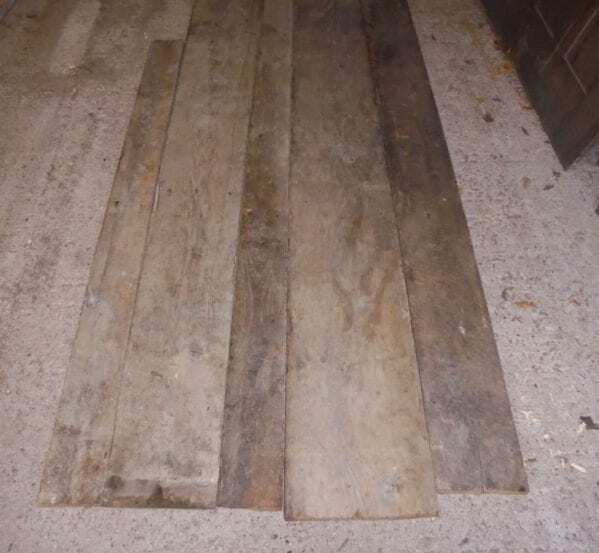 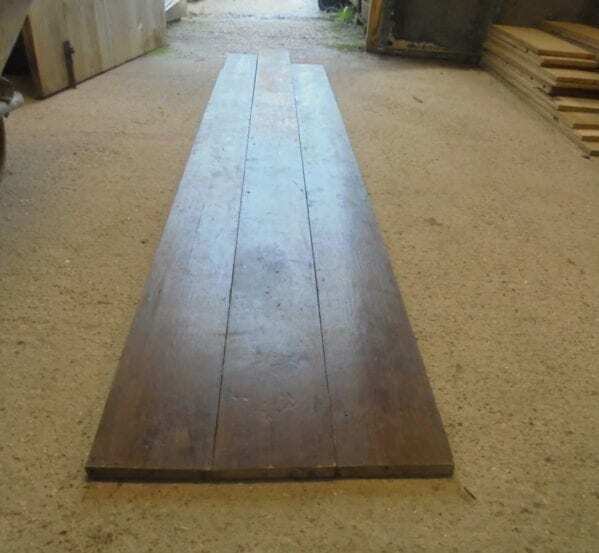 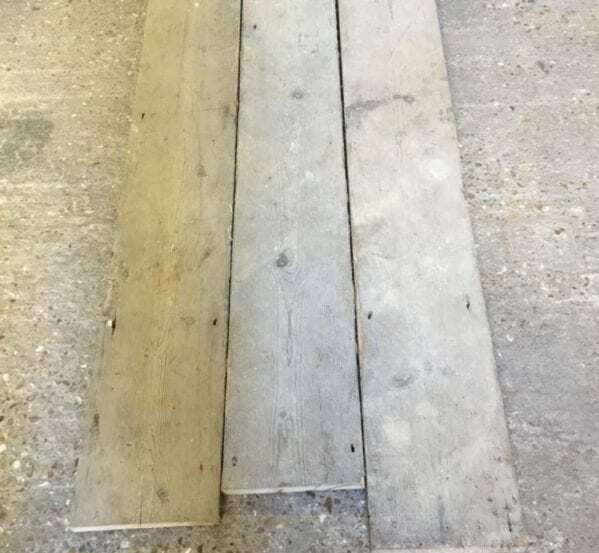 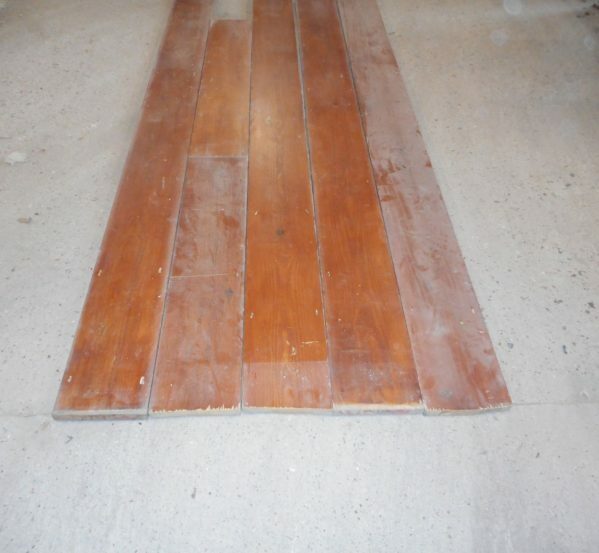 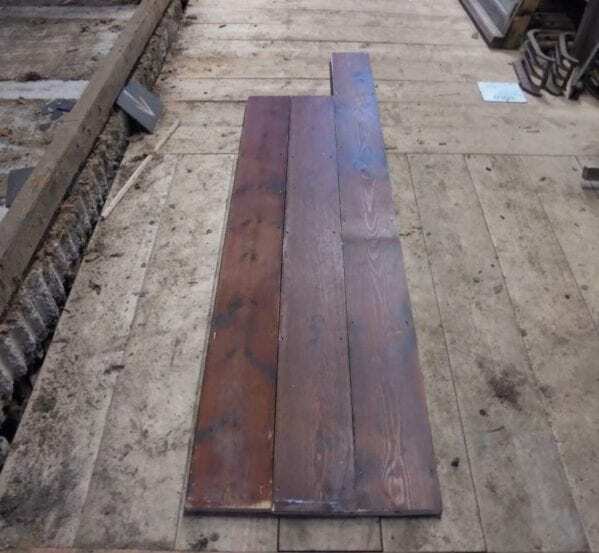 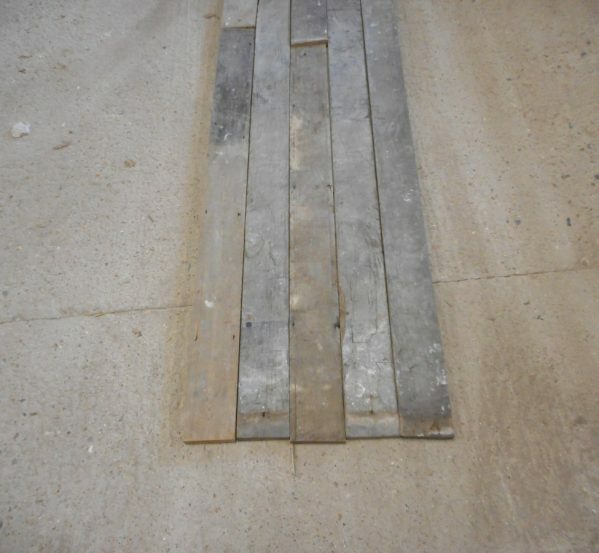 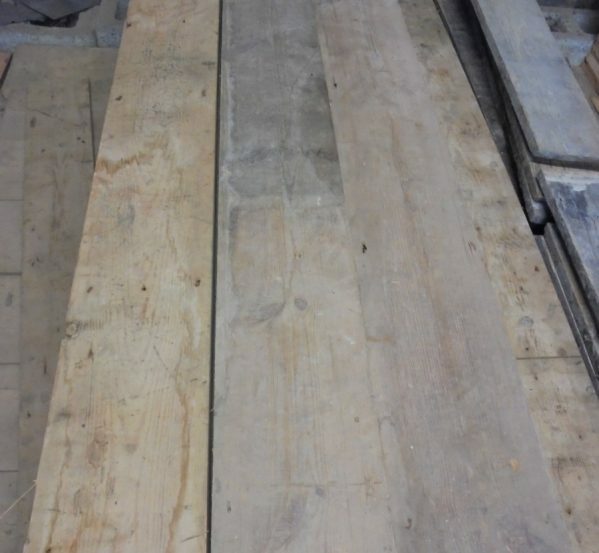 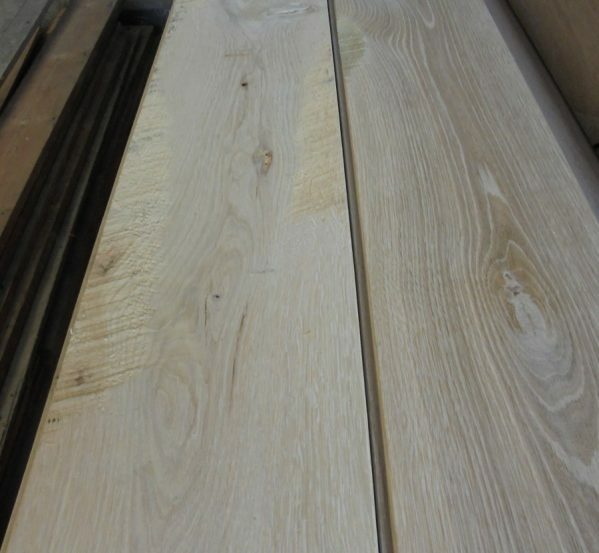 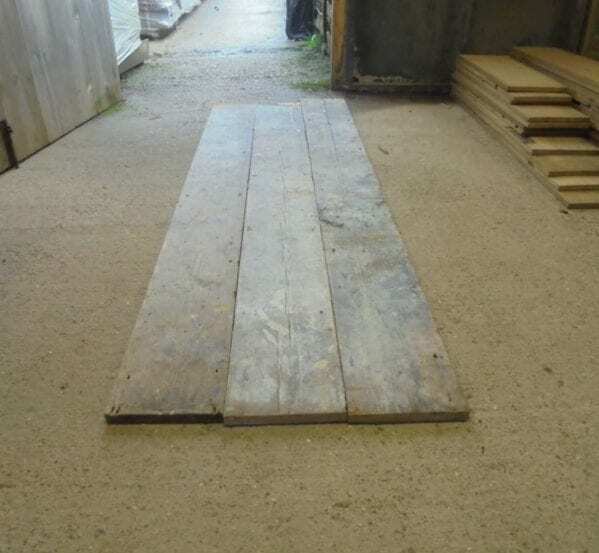 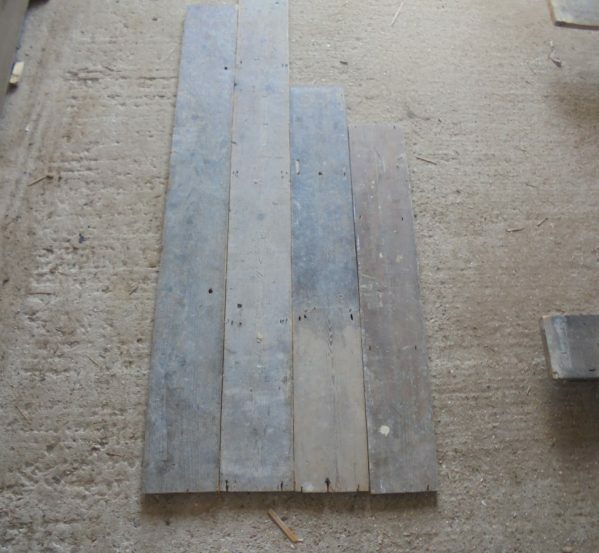 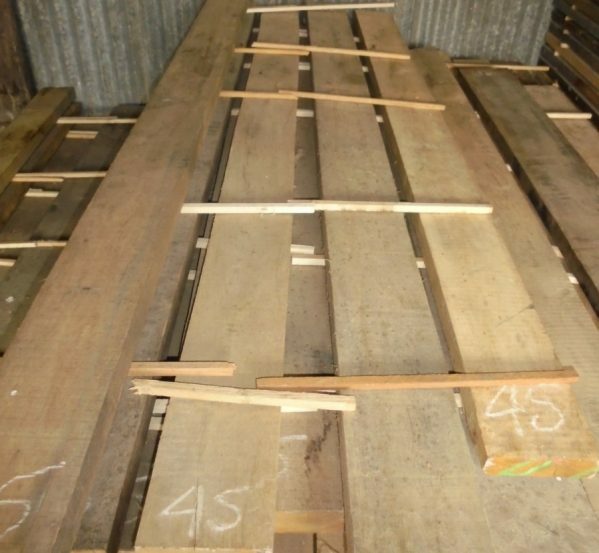 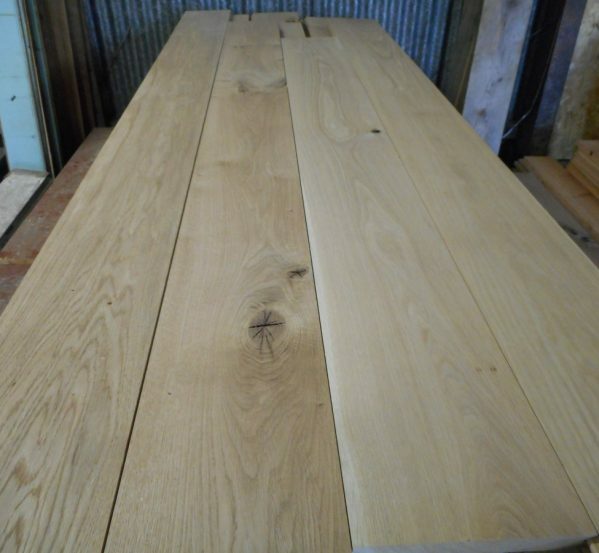 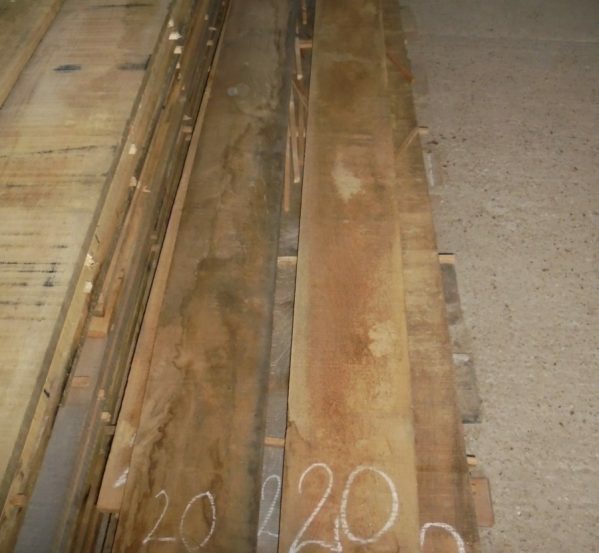 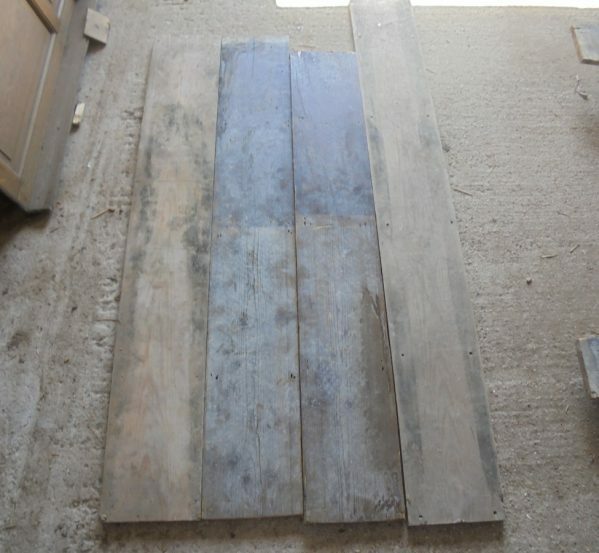 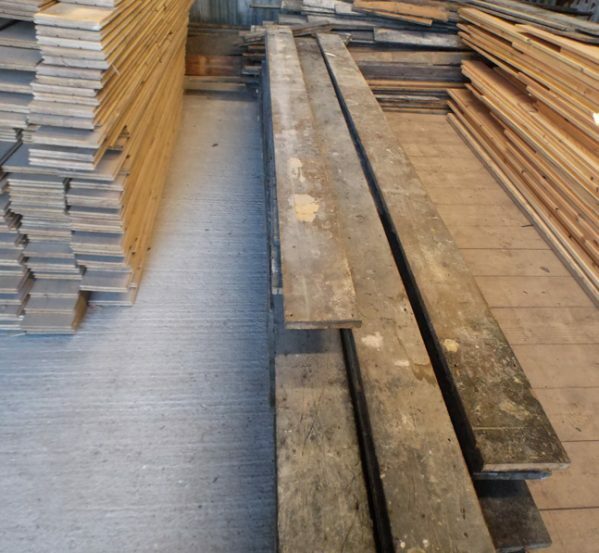 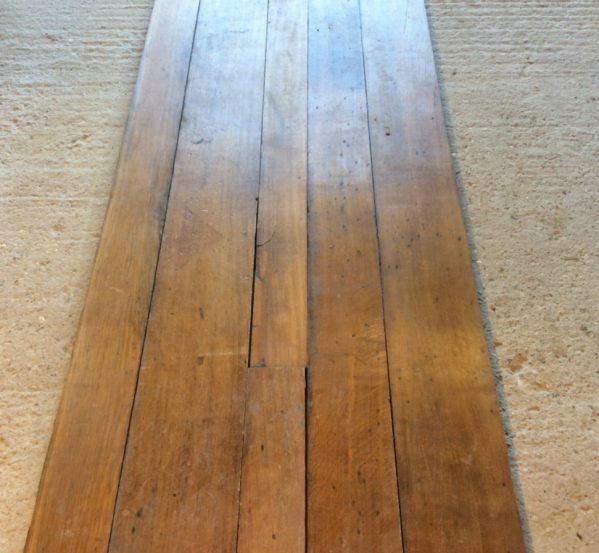 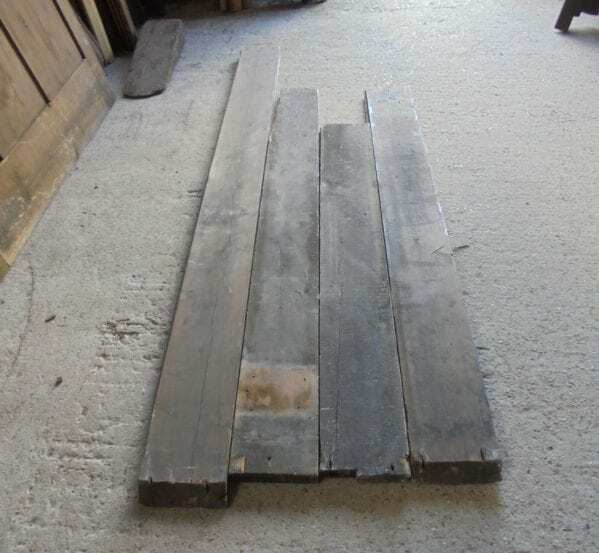 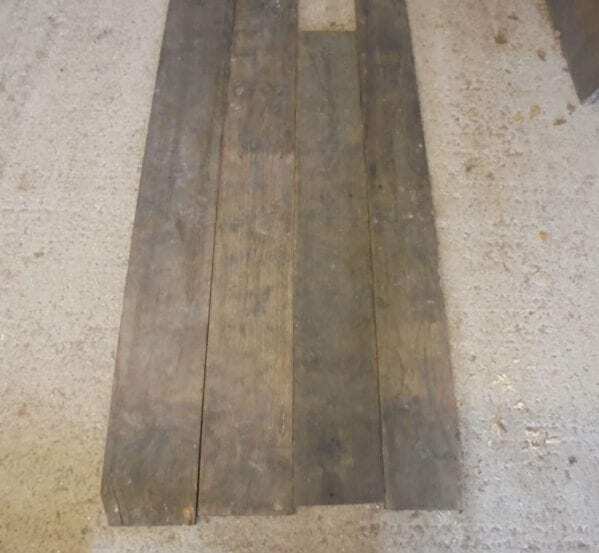 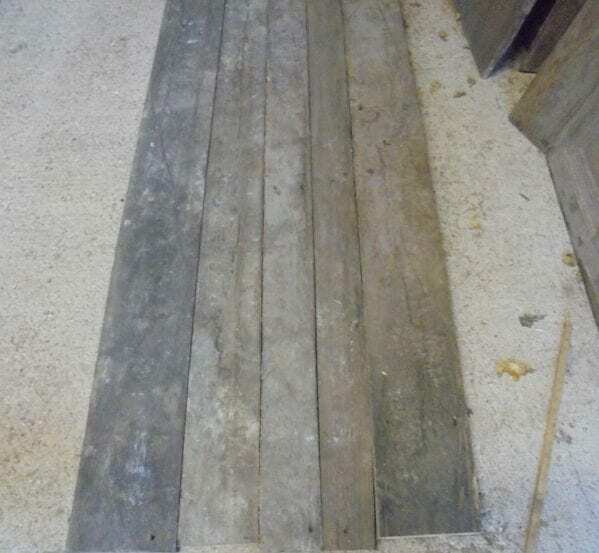 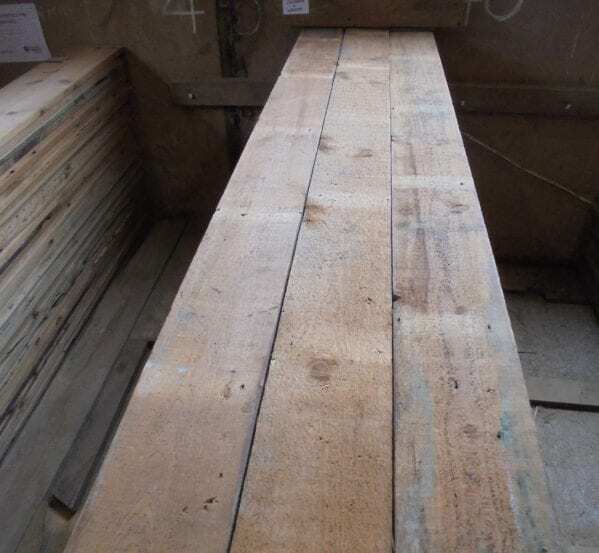 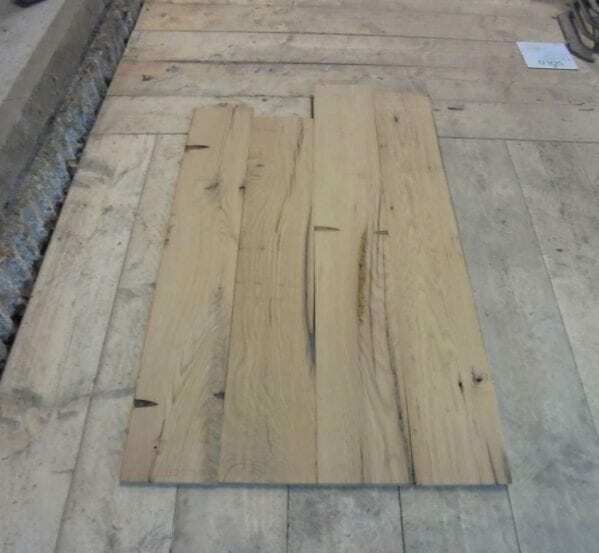 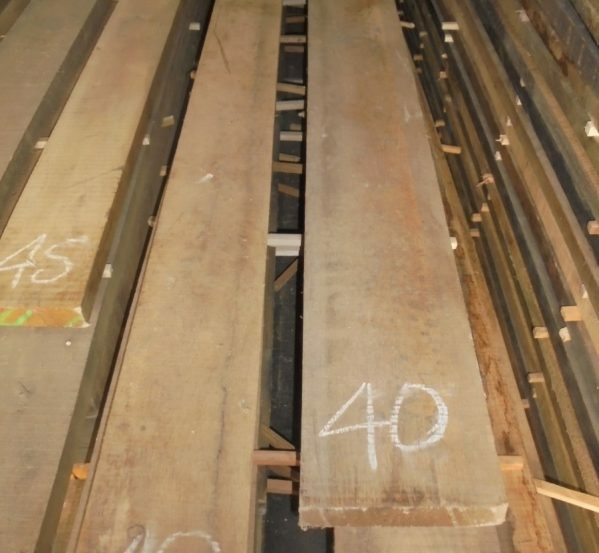 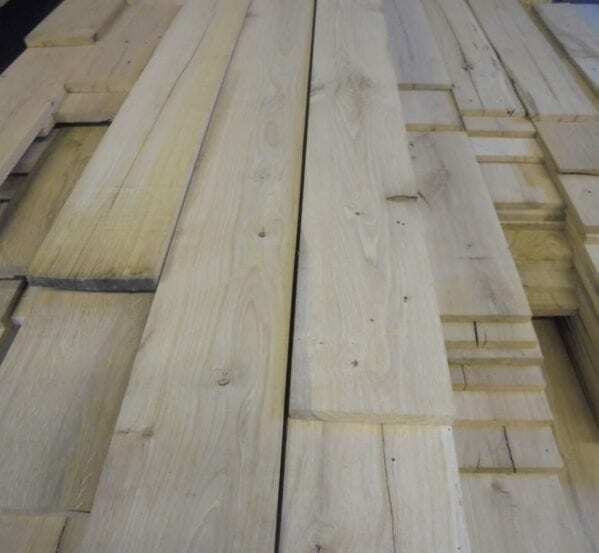 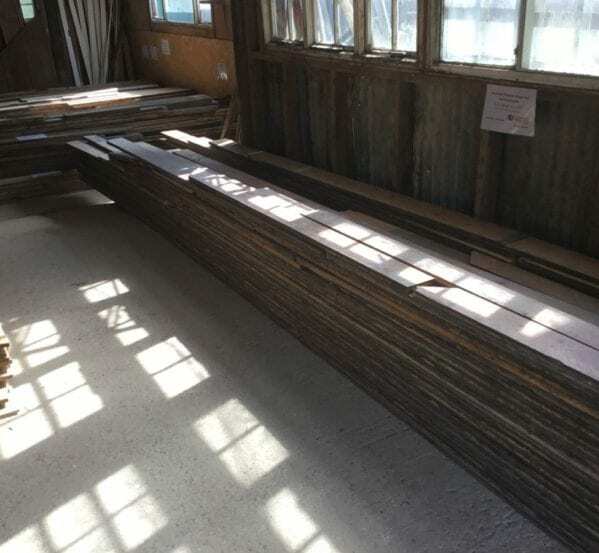 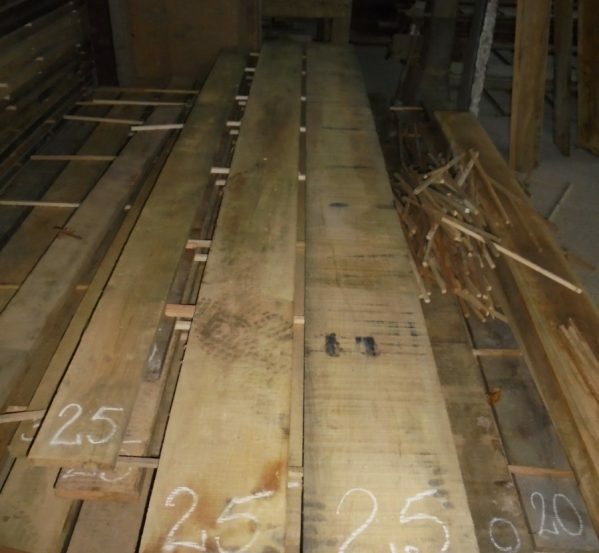 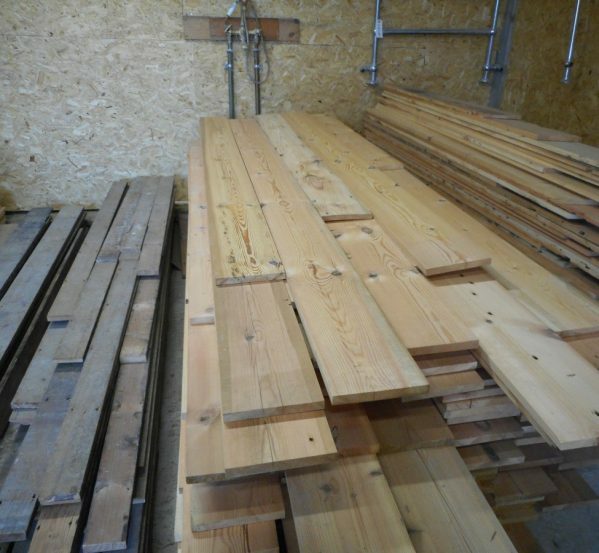 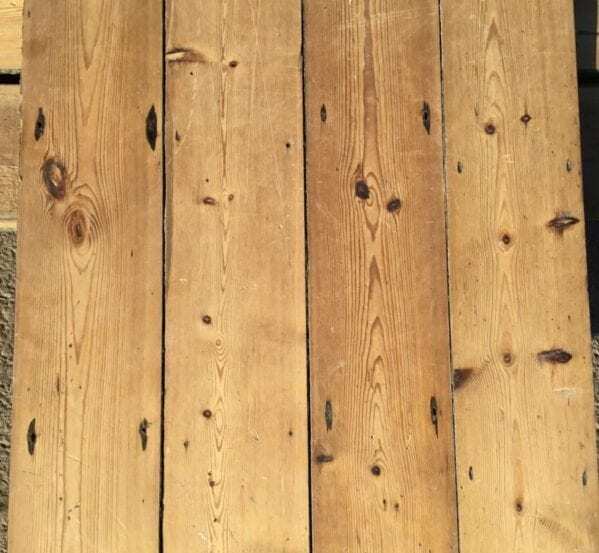 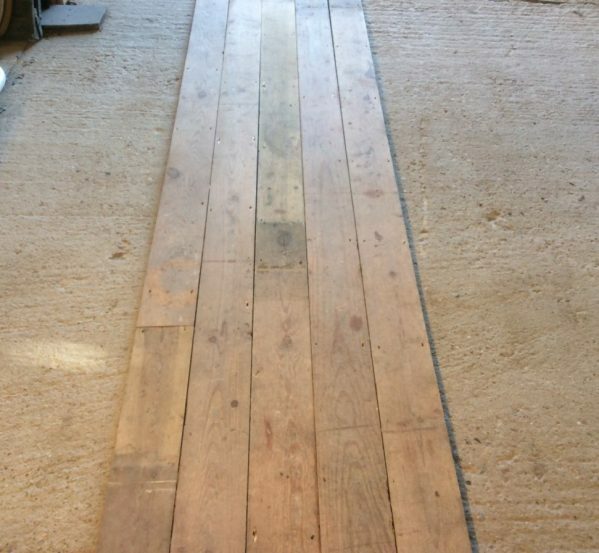 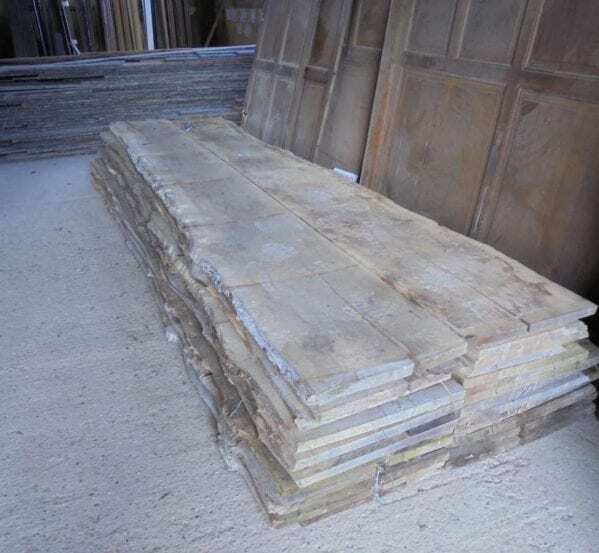 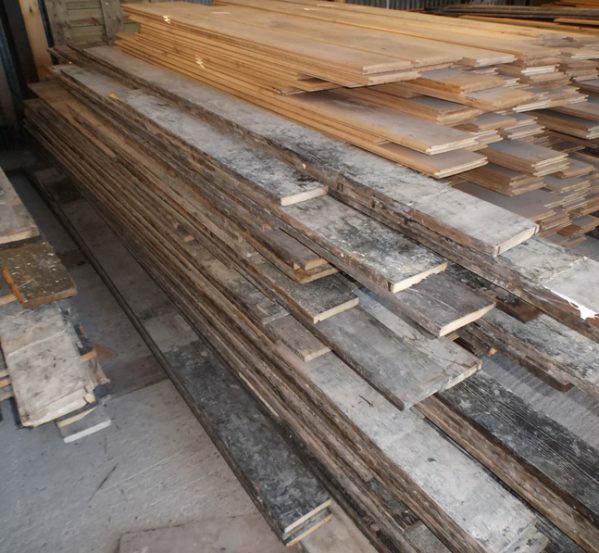 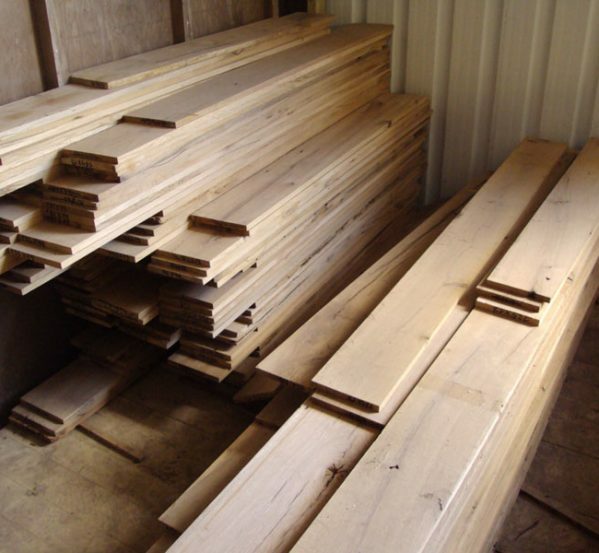 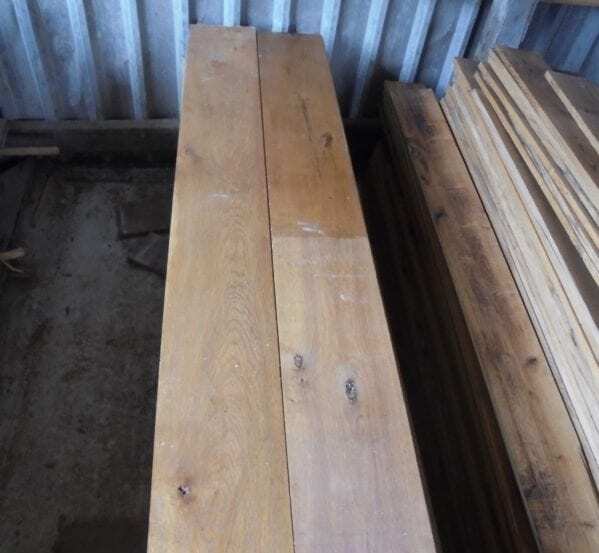 We stock re-sawn and reclaimed wooden flooring. 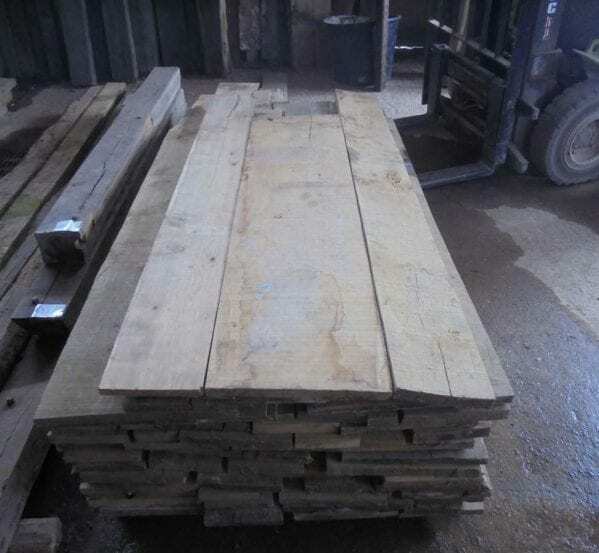 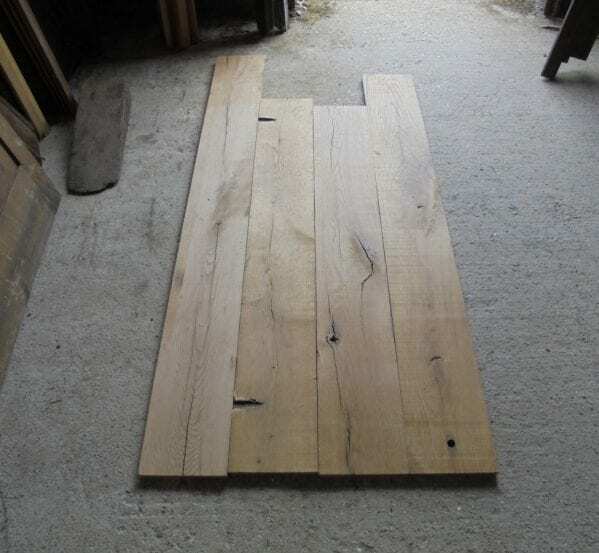 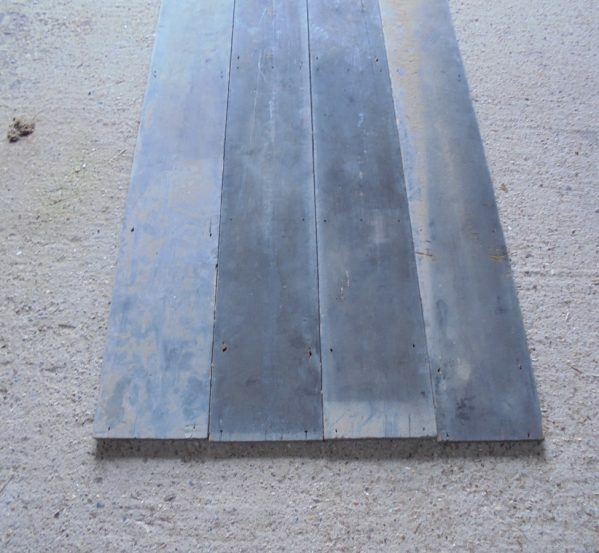 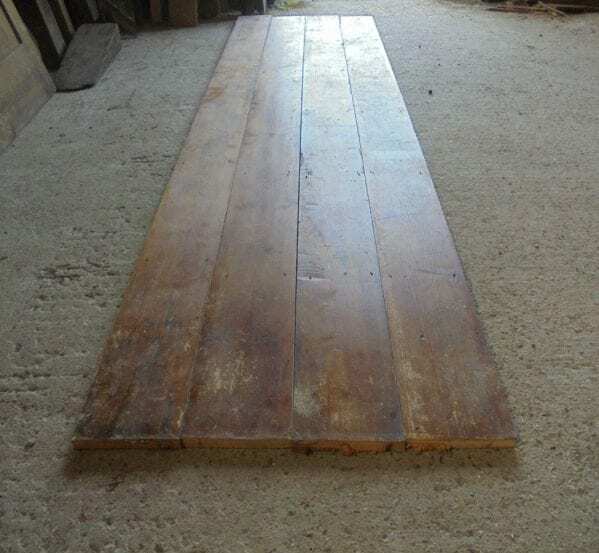 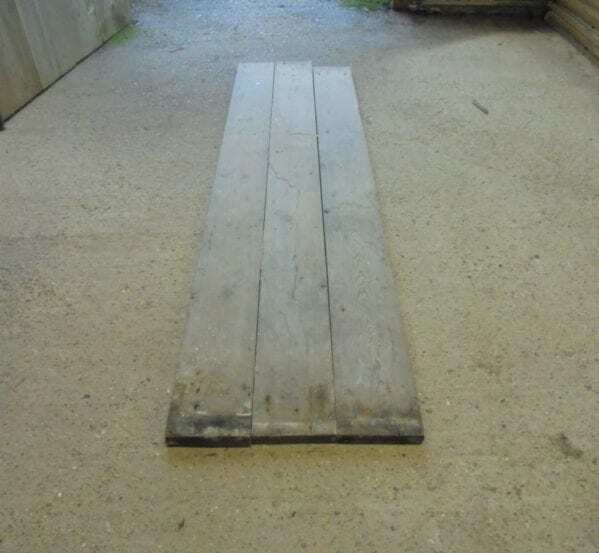 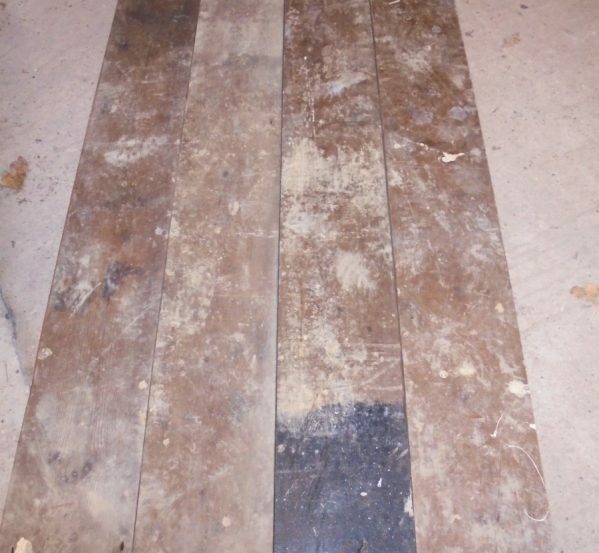 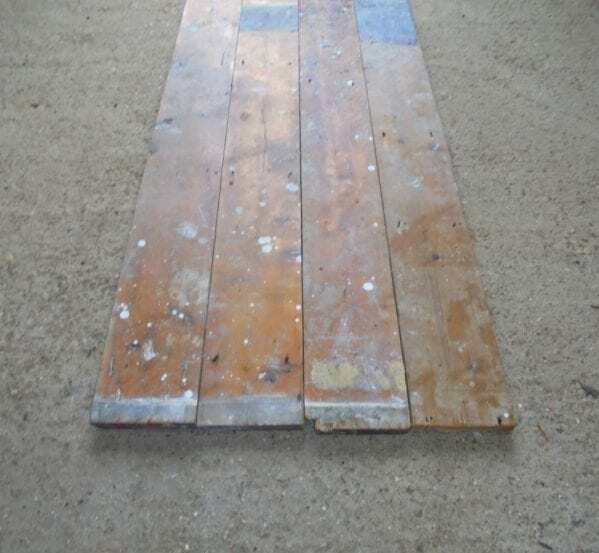 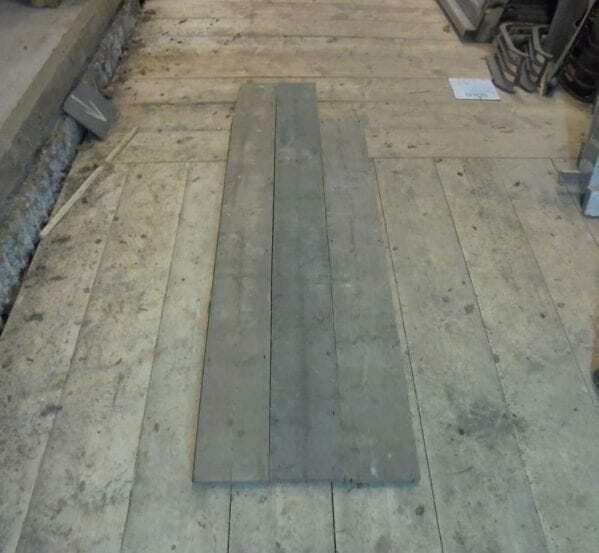 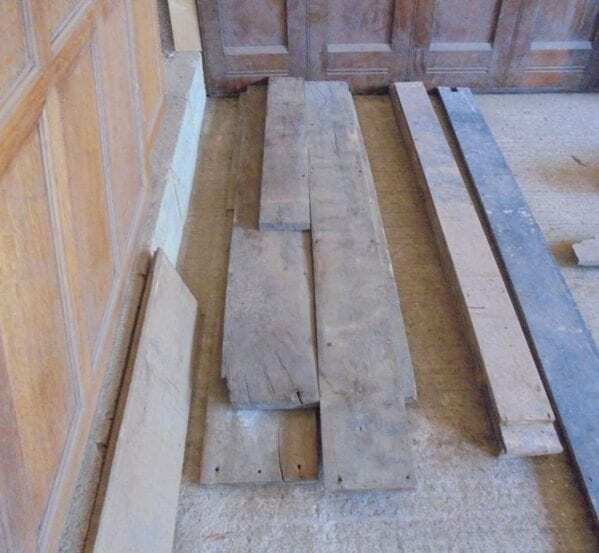 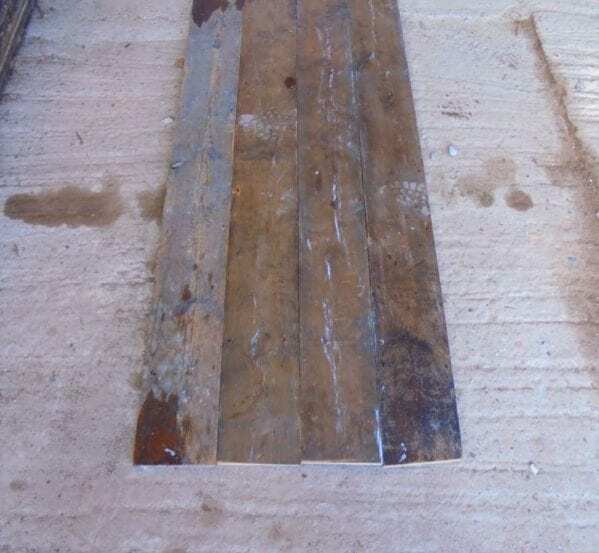 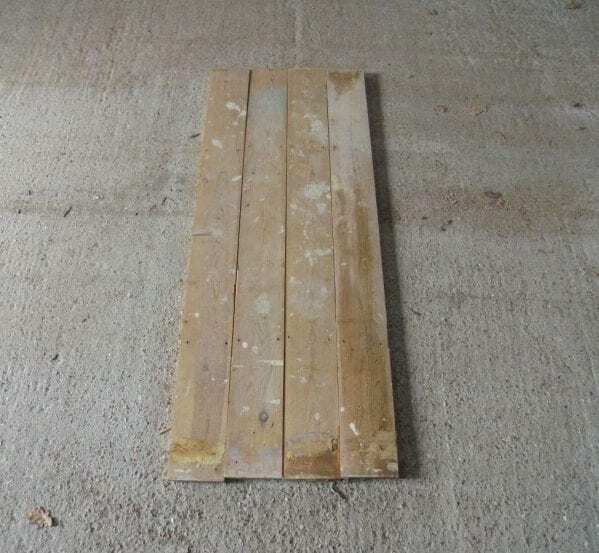 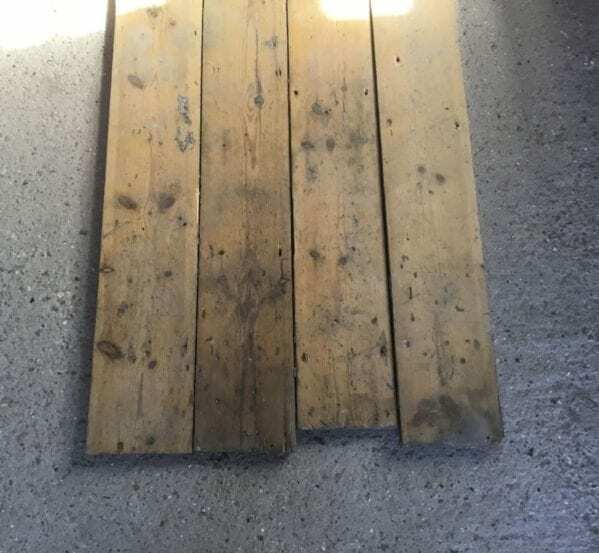 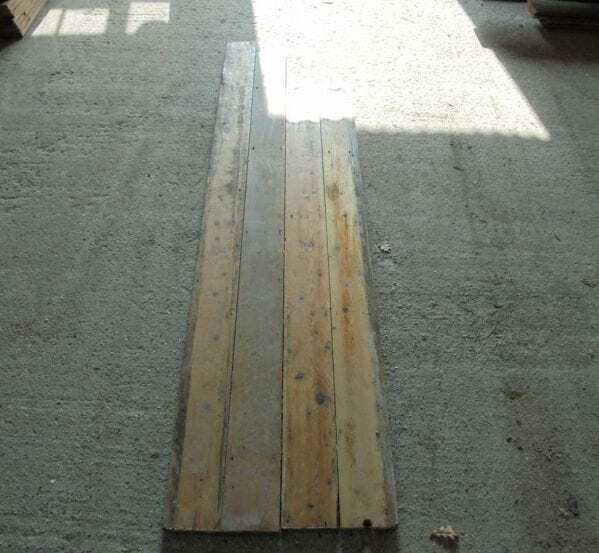 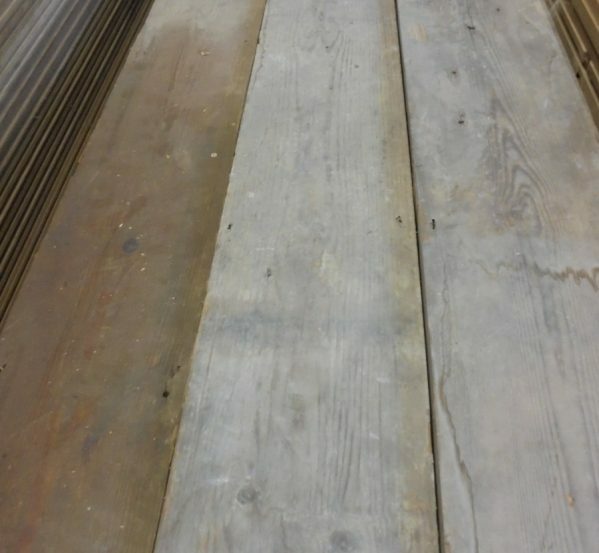 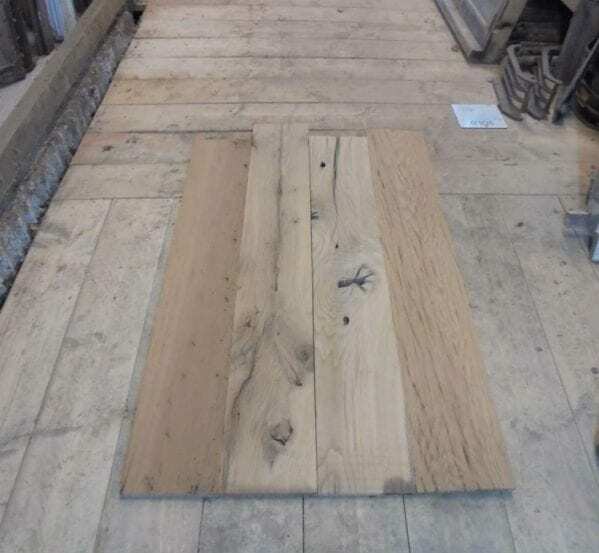 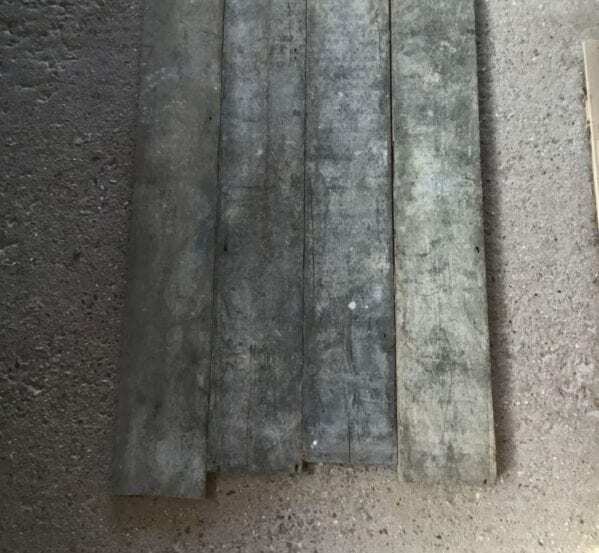 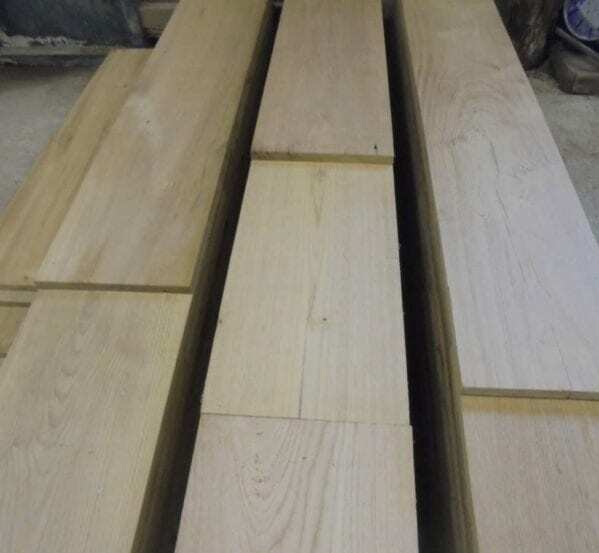 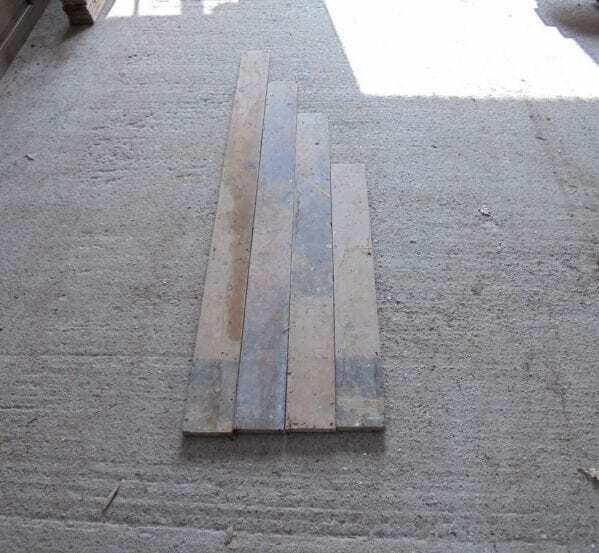 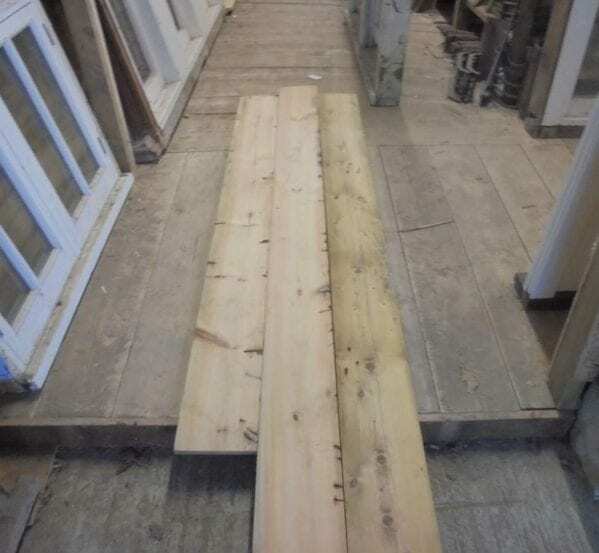 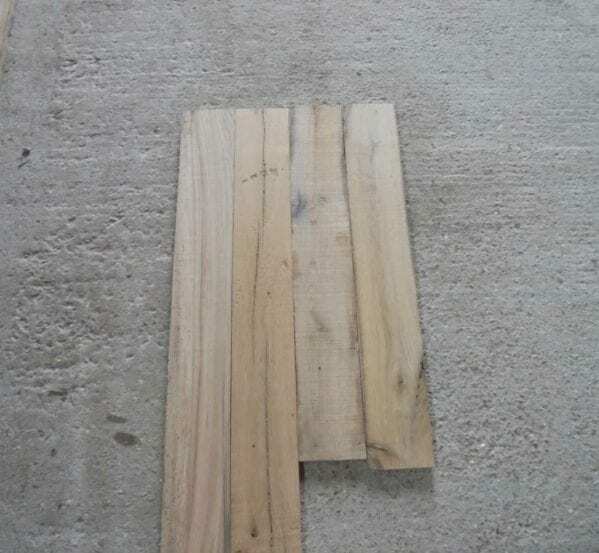 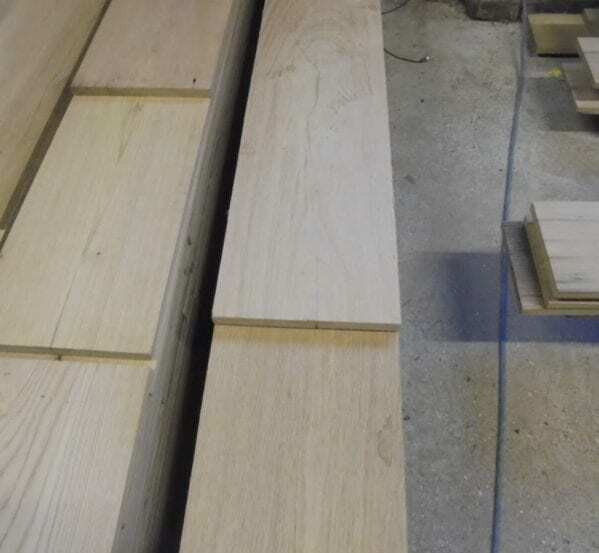 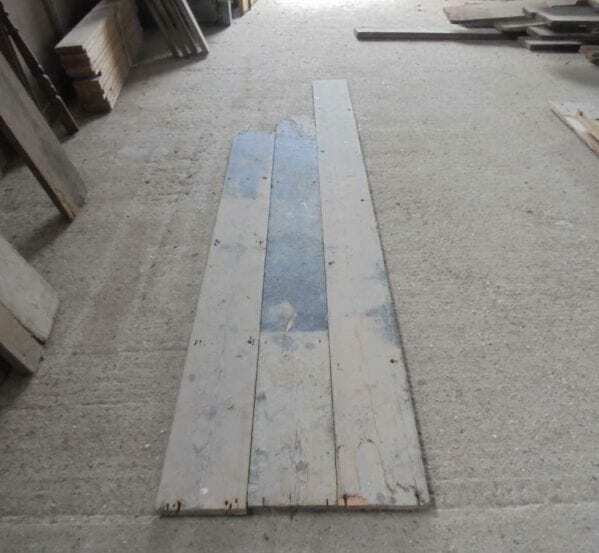 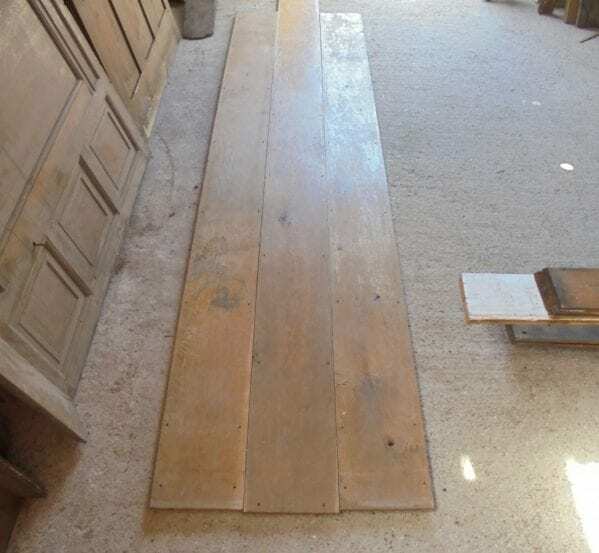 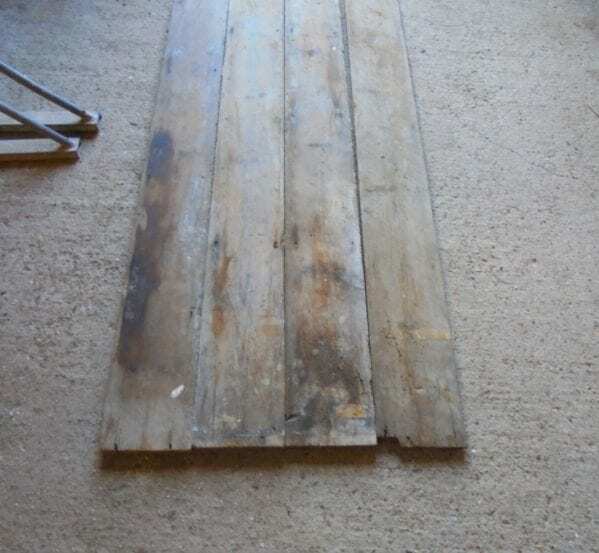 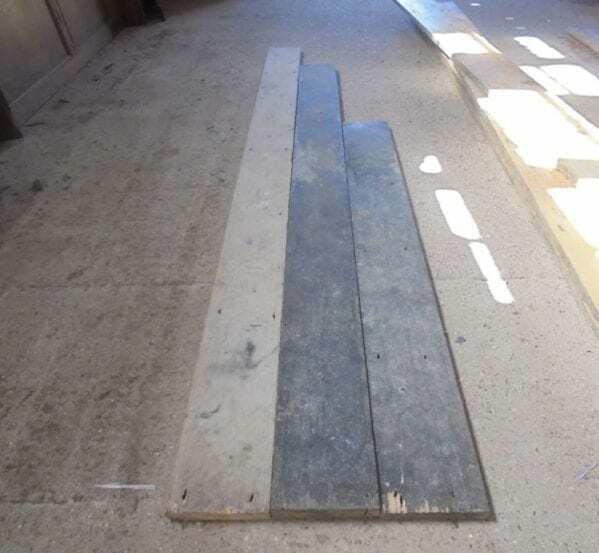 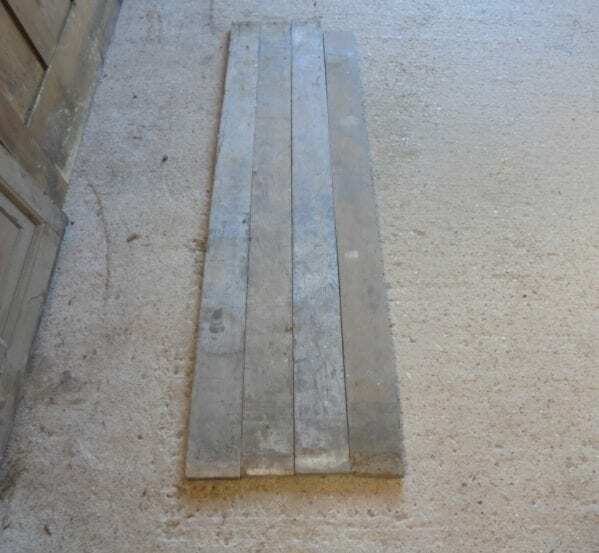 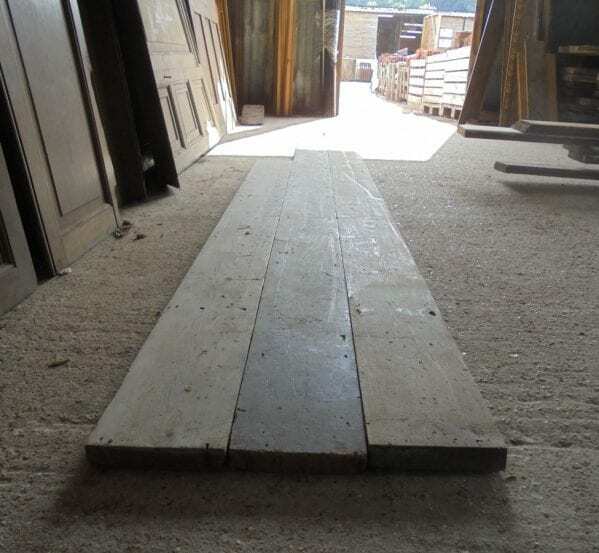 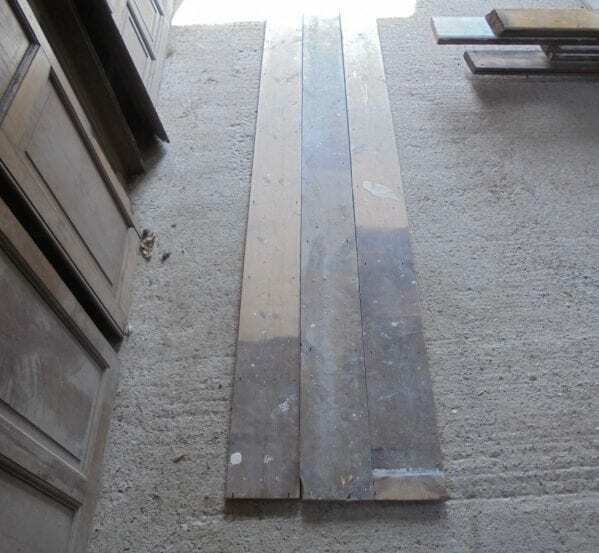 Please be aware that with a reclaimed or re-sawn board the widths may vary slightly and re-used wood will commonly have nail markings and holes. 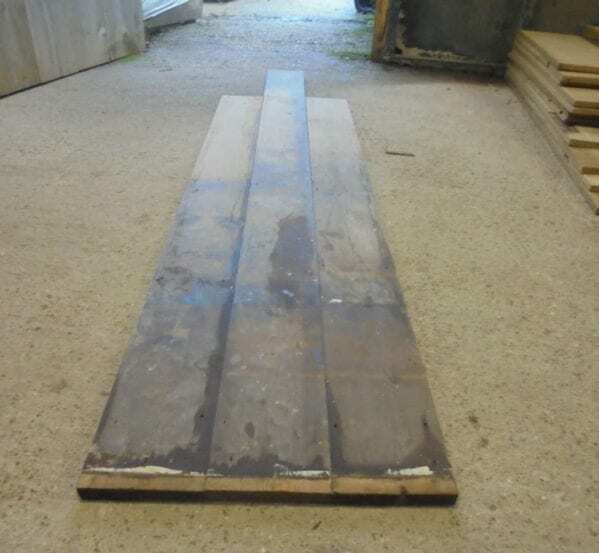 We do not treat any boards that come in. 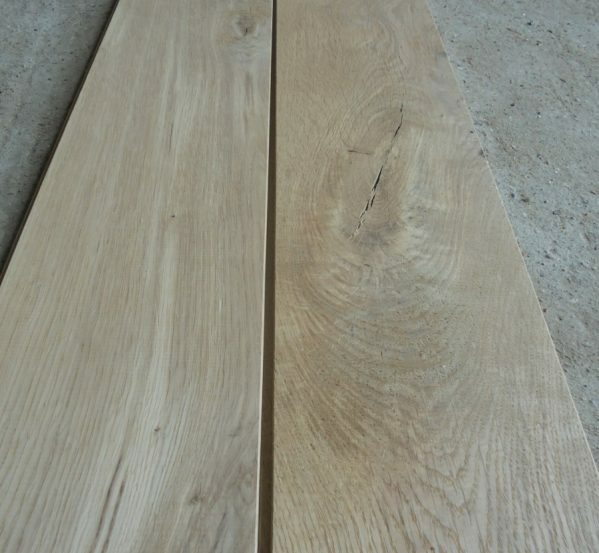 5 mm oak wear layer on a 15 mm poplar plywood base. 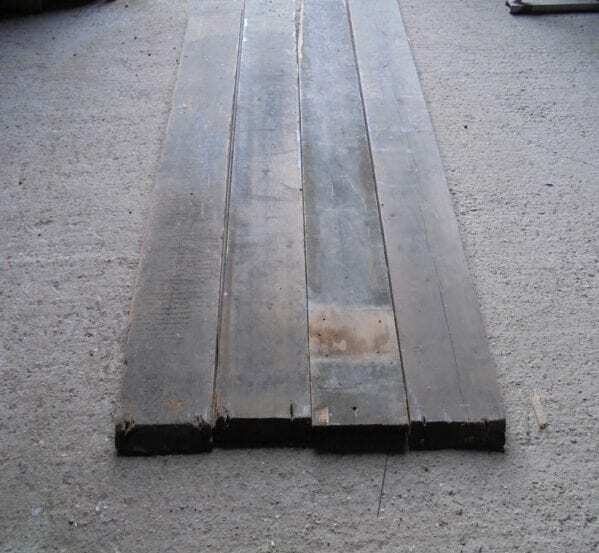 Size – Short lengths and random width x 20 mm, 3/4 inches tick. 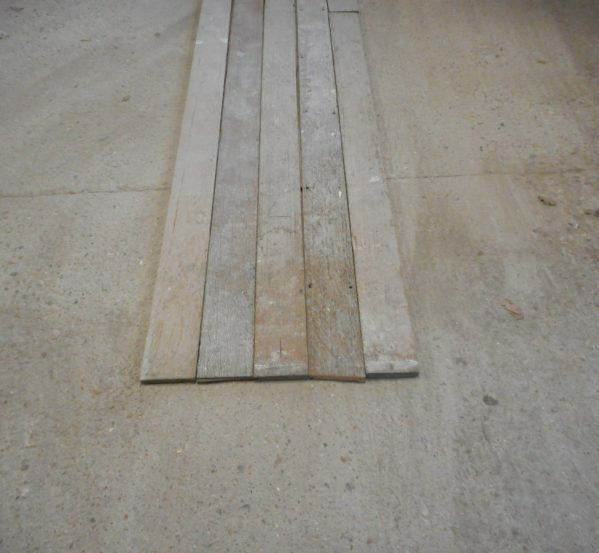 Cost – £50 per square metre + VAT. 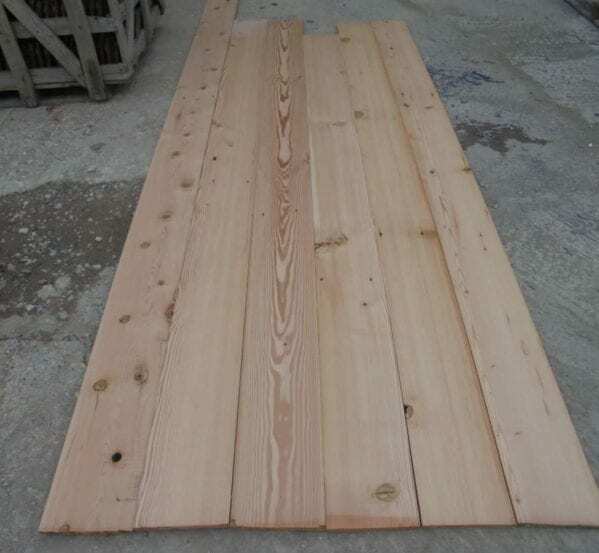 Size – 150 x 20 mm, 6 x 3/4 inches. 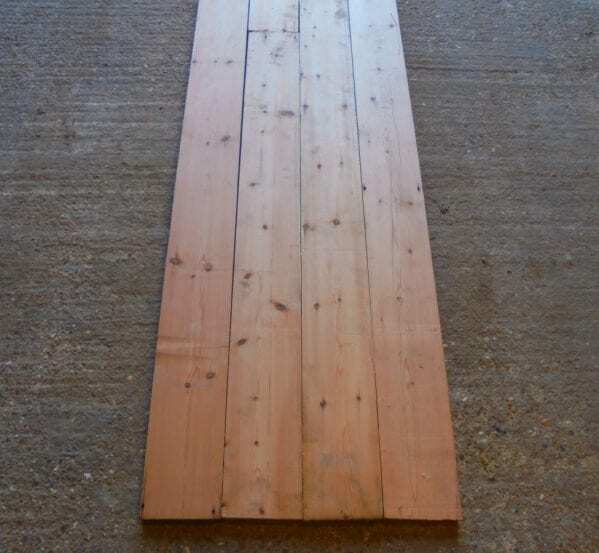 Cost – £75 per square metre + VAT. 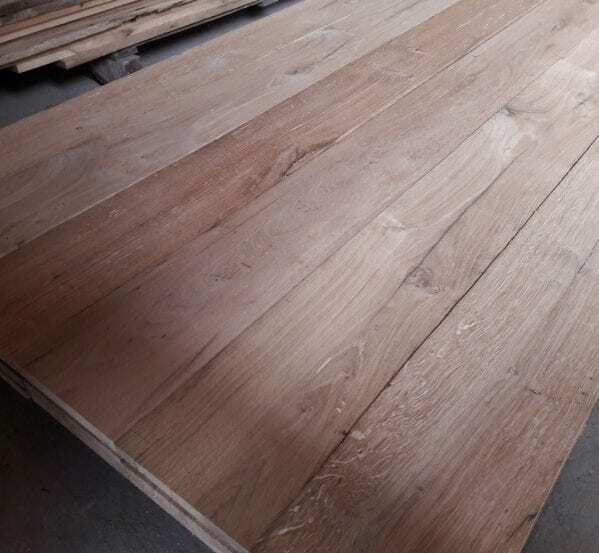 Size – 220 x 20 mm, 8 5/8 x 3/4 inches. 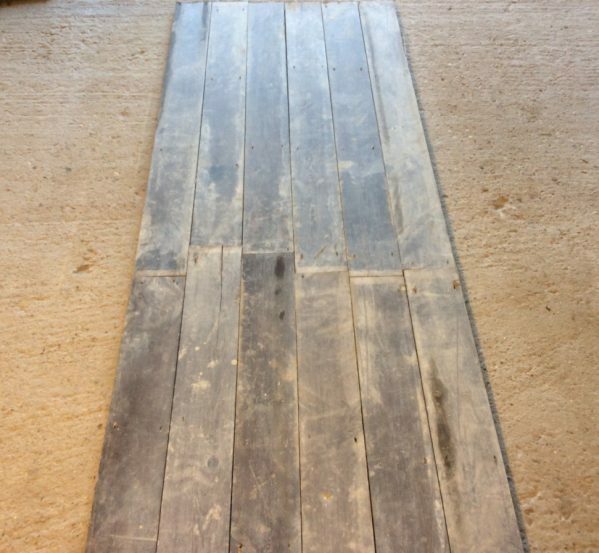 Cost – £95 per square metre + VAT. 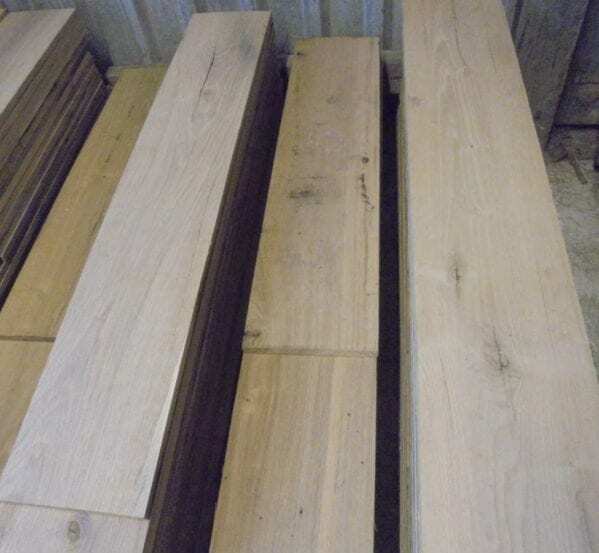 Size – 205 x 20 mm, 8 x 3/4 inches. 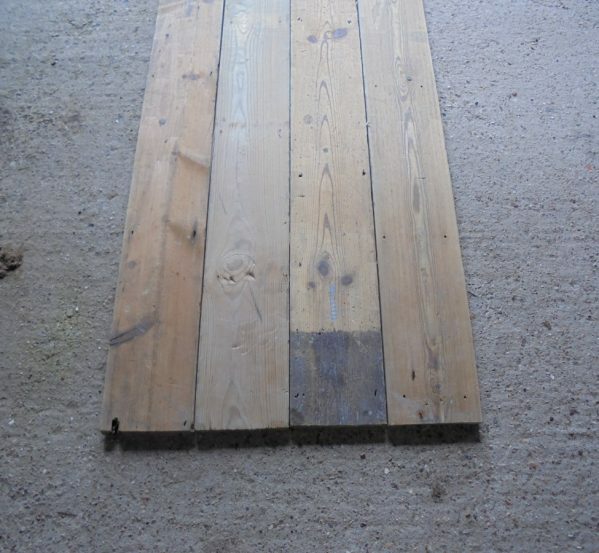 Cost – £85 per square metre + VAT. 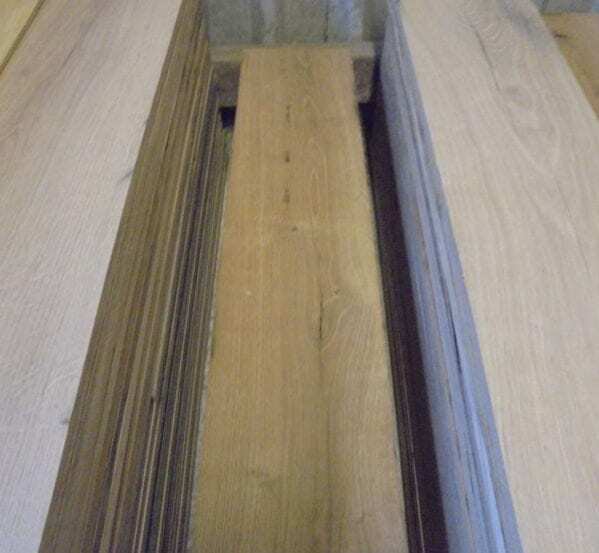 Size – 190 x 20 mm, 7 1/2 x 3/4 inches. 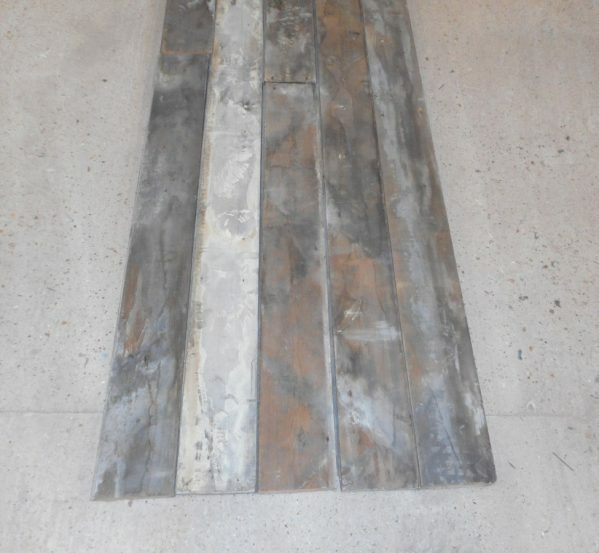 Size approx: 6 3/4″ this will vary and between 25-30 mm thick. 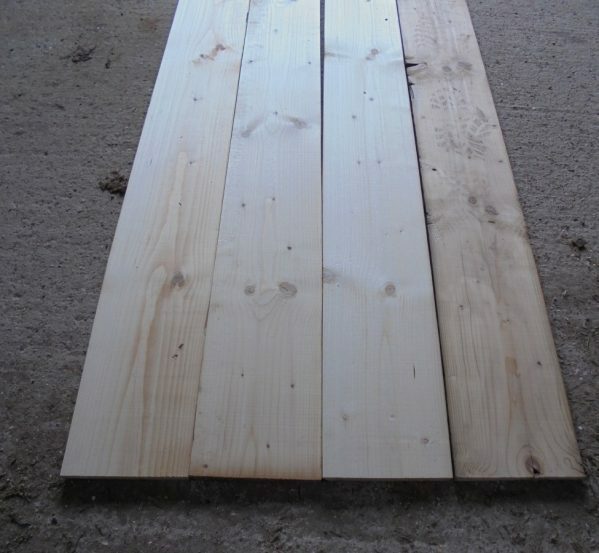 Length of boards vary. 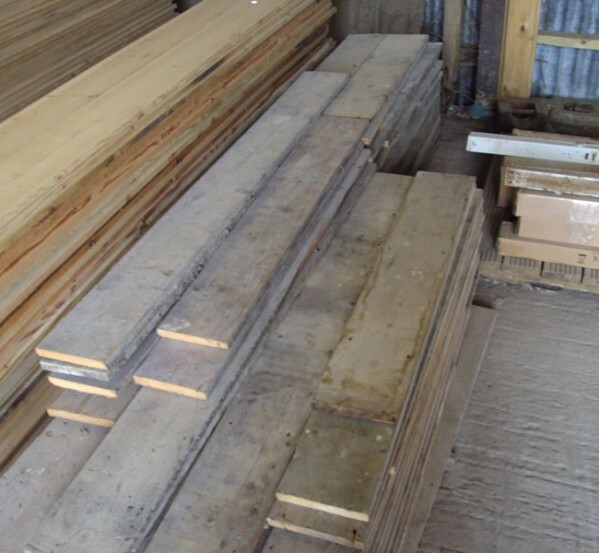 Please give us a call for quantities. 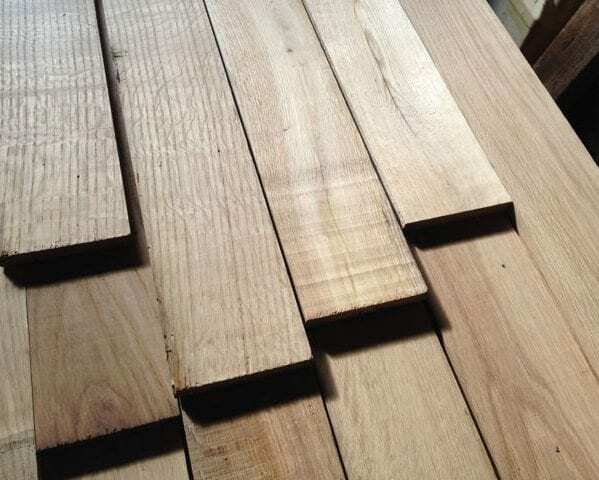 Size (Width, Thickness) : 157 x 23 mm, 6 1/4 x 7/8 inches. 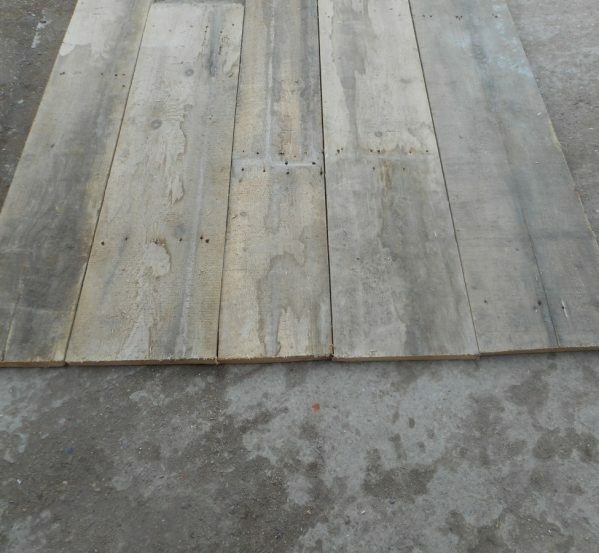 Size approx : 220 x 23 mm, 8 5/8 x 7/8 inches. 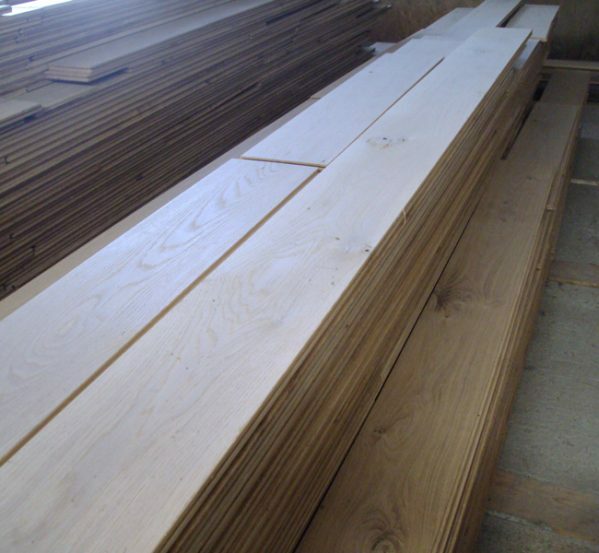 Size (Width, Thickness) : 120 x 22 mm, 4 7/8 x 7/8 inches. 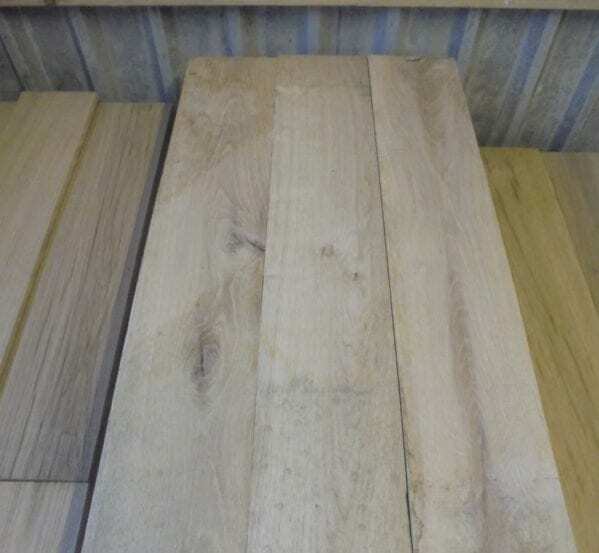 Size – 250 x 20 mm, 9 7/8 x 3/4 inches. 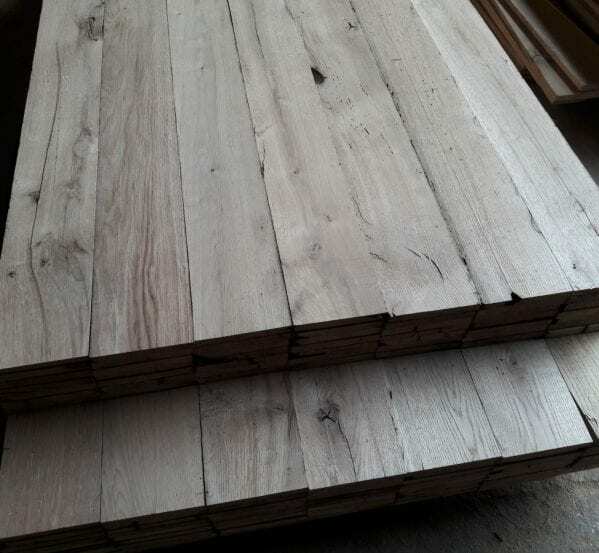 Size – 240 x 20 mm, 9 1/2 x 3/4 inches. 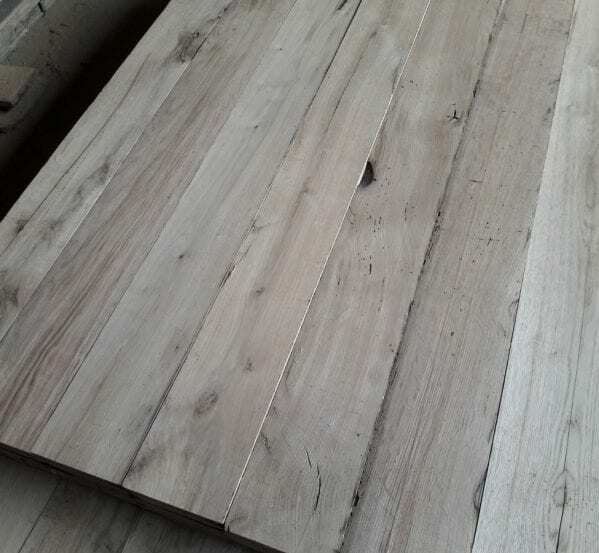 Size – 230 x 20 mm, 9 x 3/4 inches. 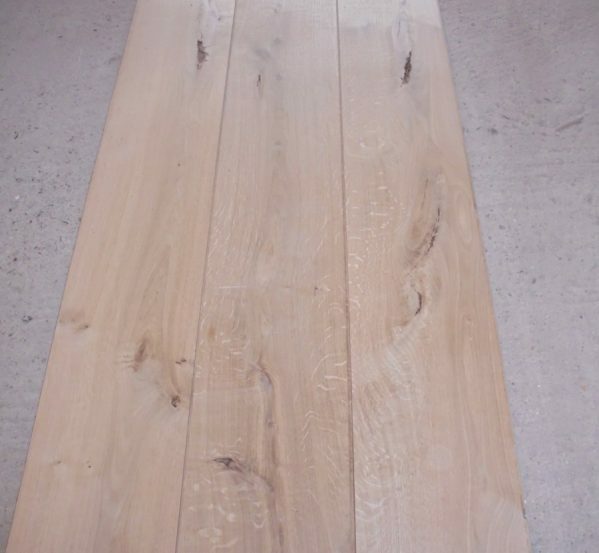 Size – 210 x 20 mm, 8 1/4 x 3/4 inches. 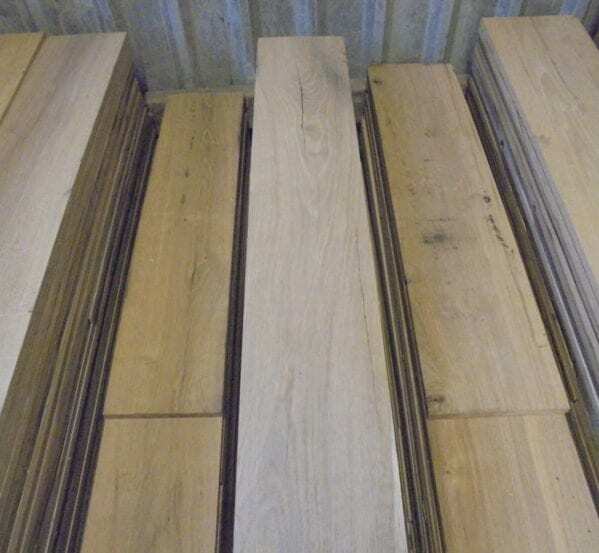 Size – 200 x 20 mm, 7 5/8 x 3/4 inches. 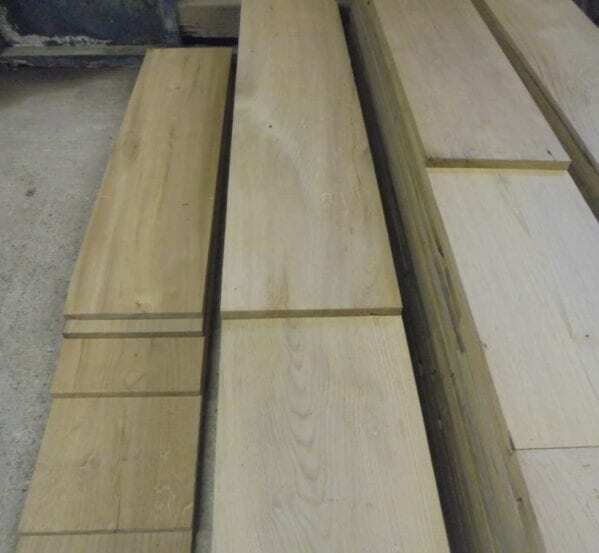 Size – 180 x 20 mm, 7 x 3/4 inches. 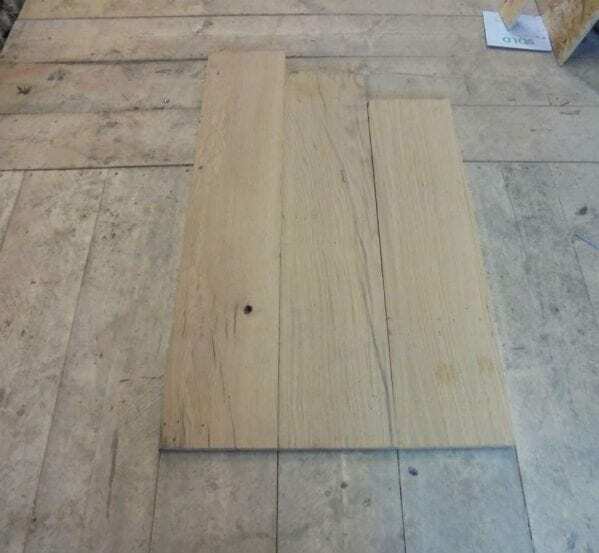 Size – 170 x 20 mm, 6 3/4 x 3/4 inches. 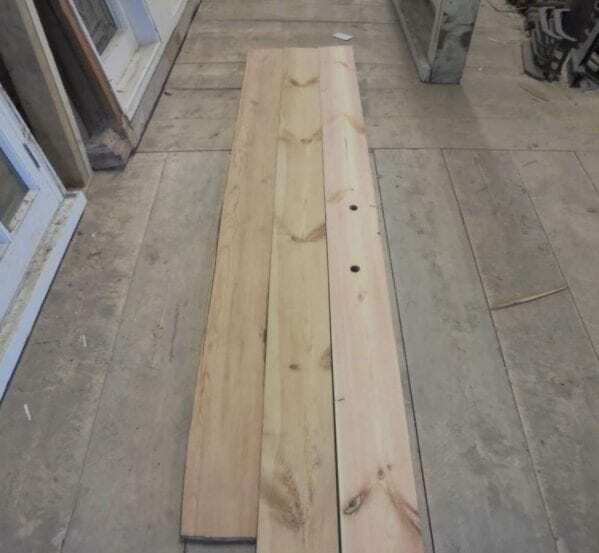 Size (Width x Thickness): 5 3/4″ x 3/4″. 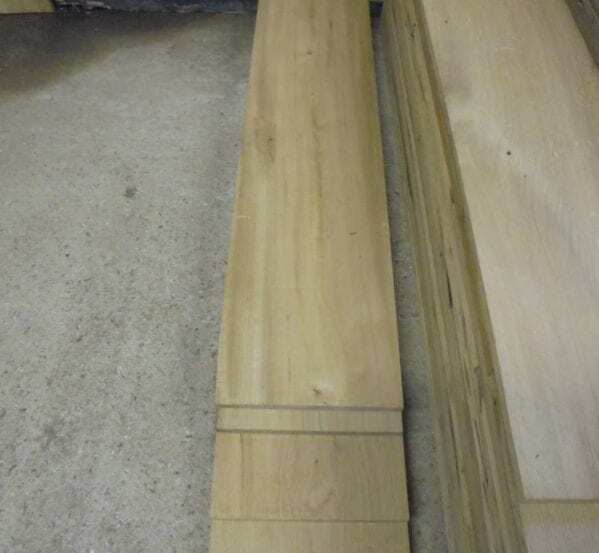 Random lengths. 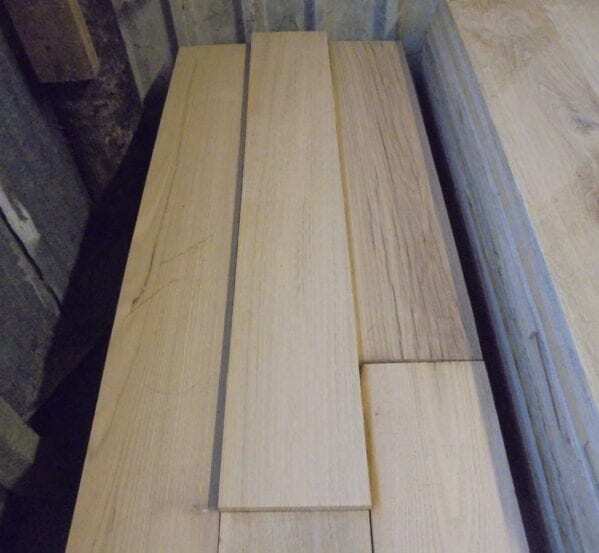 Size (Width, Thickness): 165mm x 20mm, 6 5/8 x 3/4 inches . 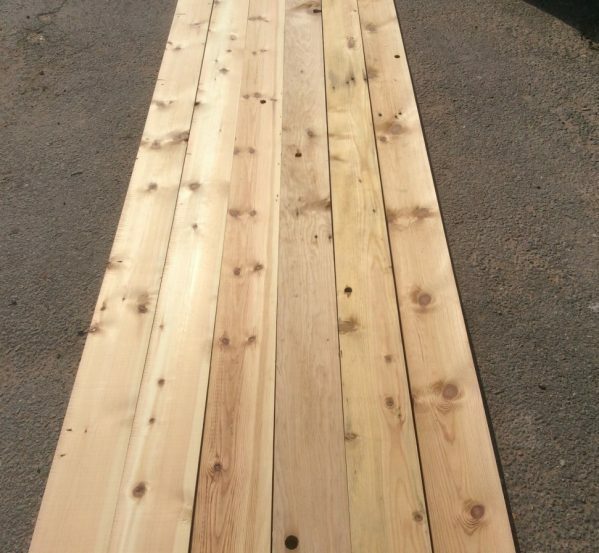 Random lengths. 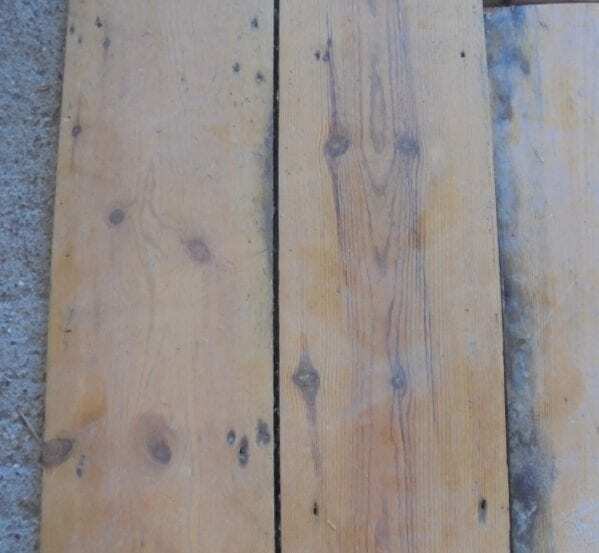 A small batch of reclaimed pine floorboards. 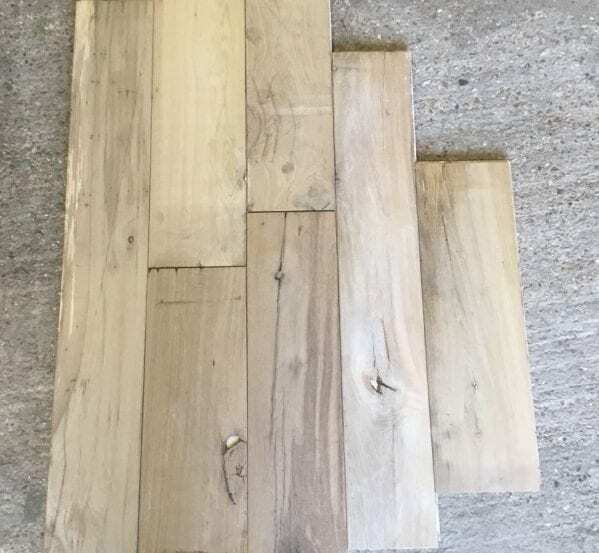 Size – 145 x 18 mm, 5 3/4 x 3/4 inches, random length…. 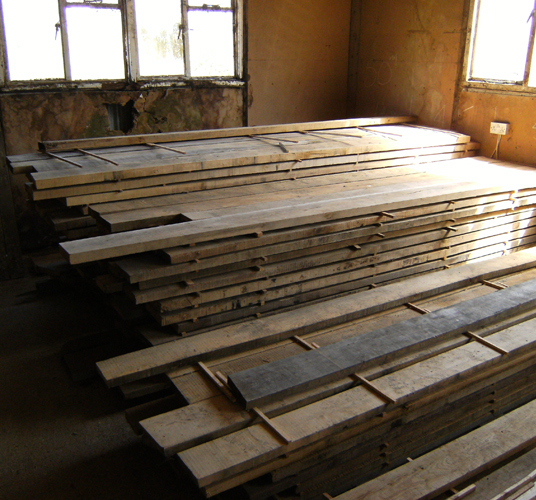 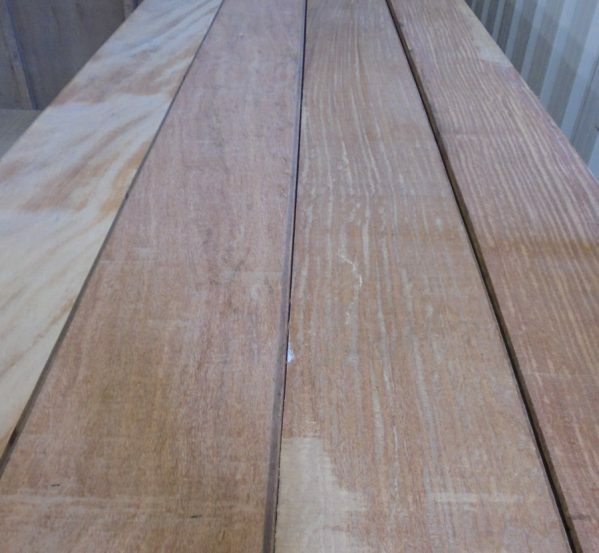 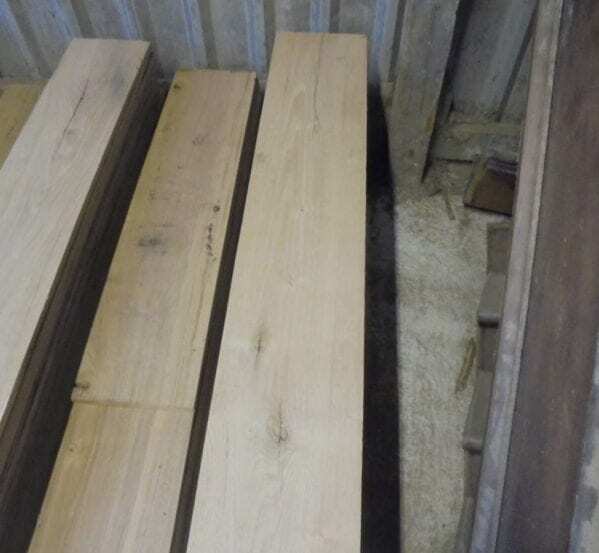 A batch of freshly milled oak boards from 200 year old beams aged by hand to produce the ‘caramel’ look….